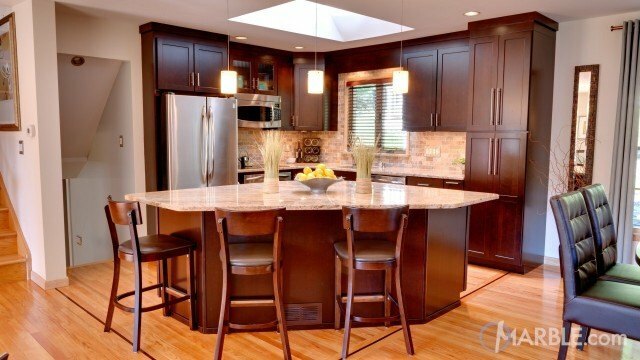 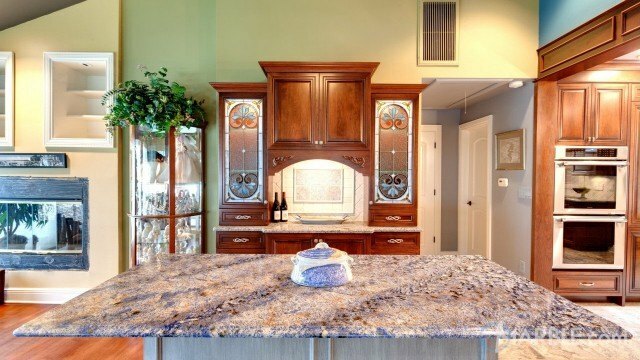 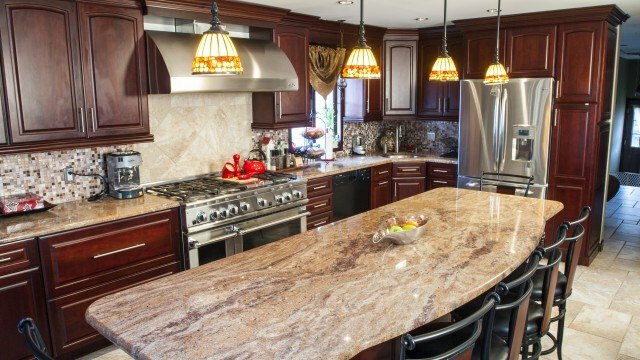 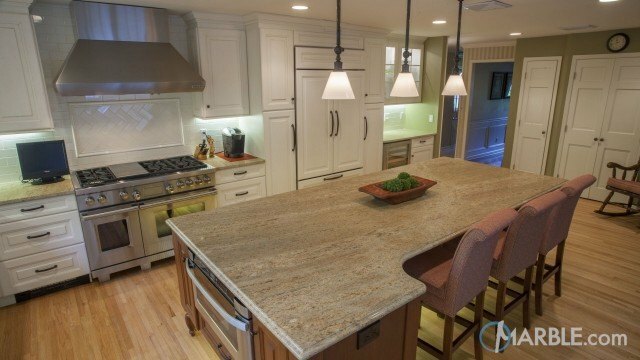 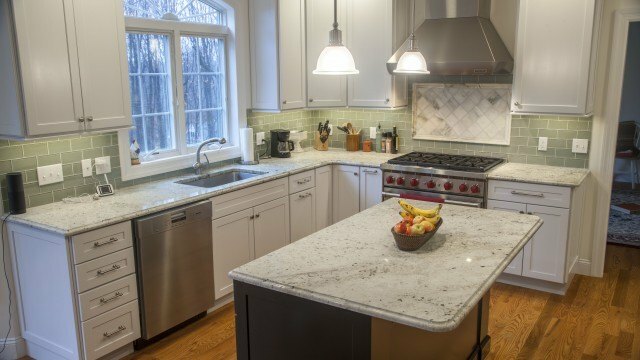 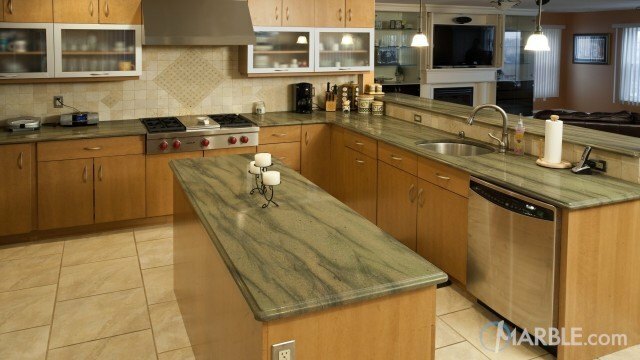 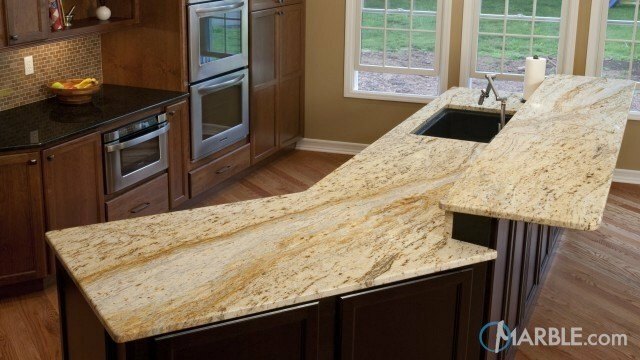 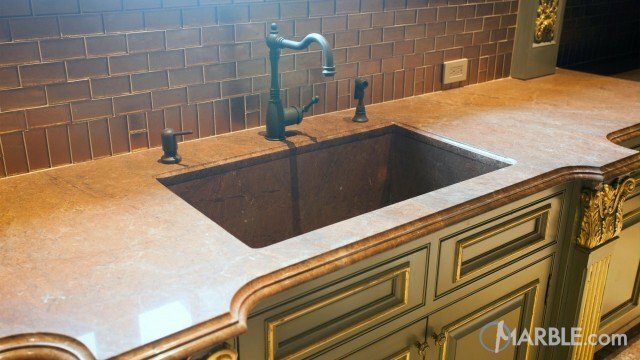 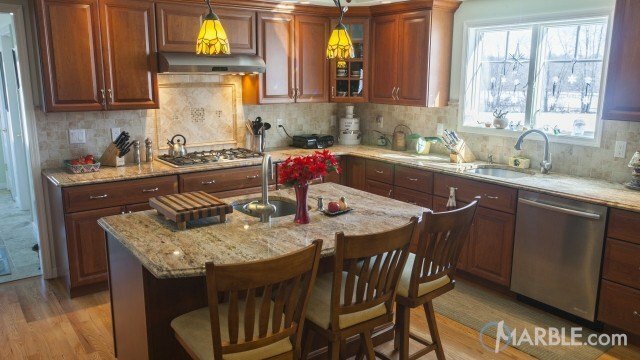 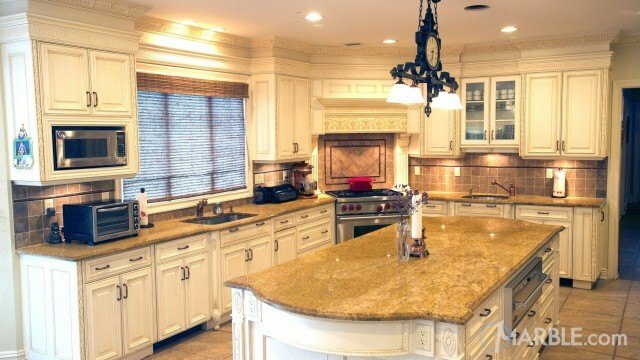 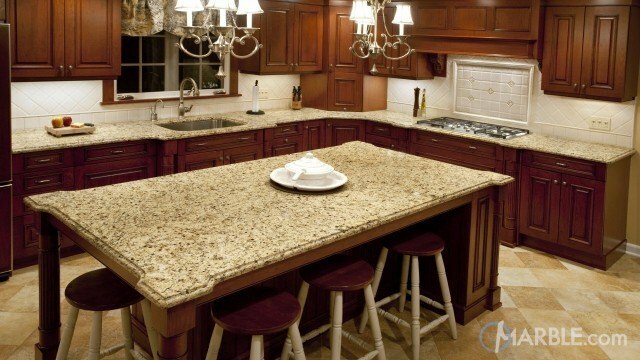 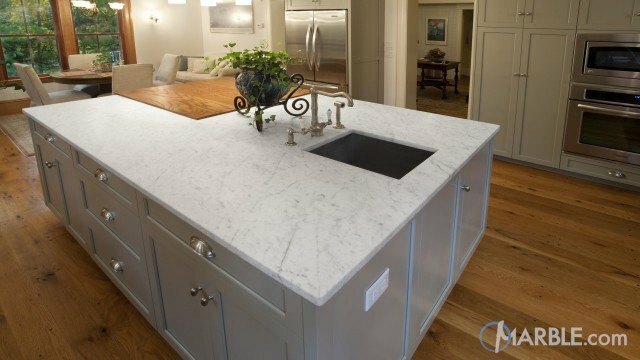 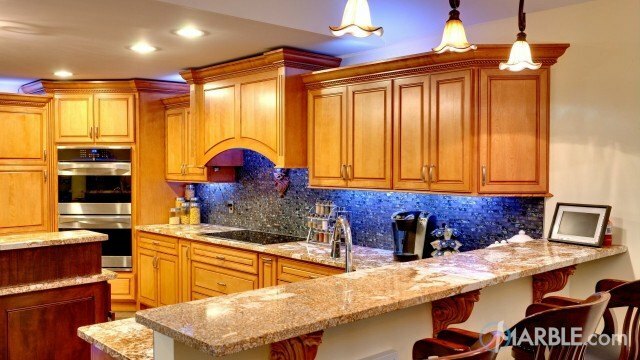 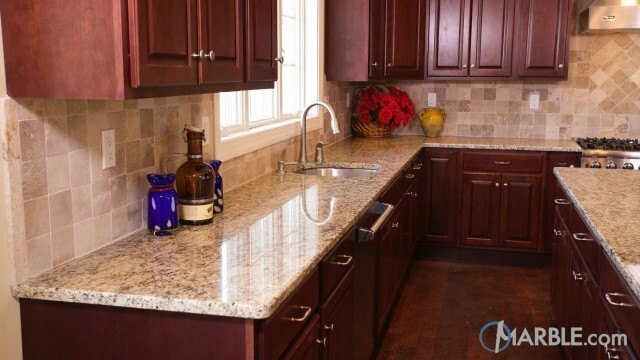 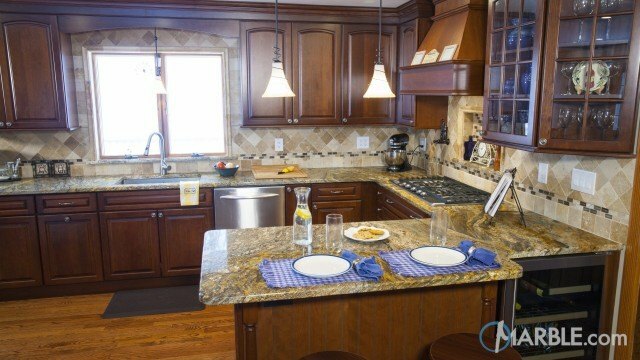 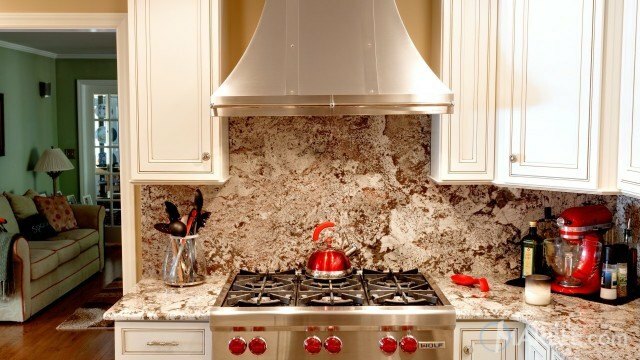 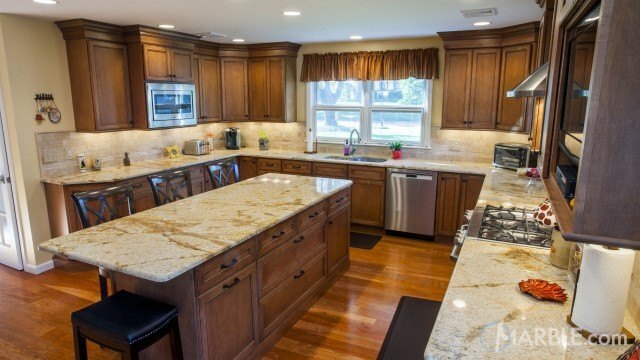 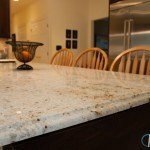 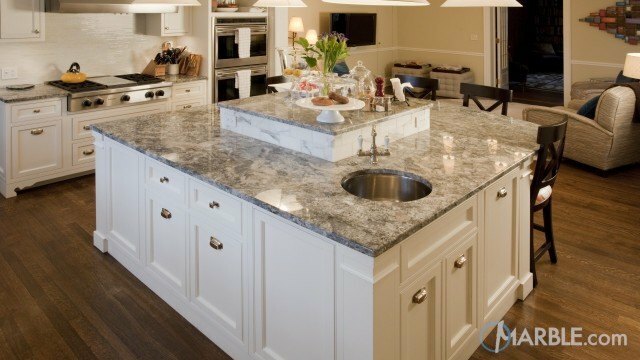 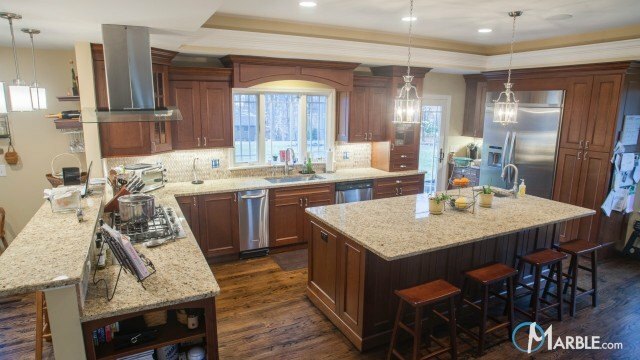 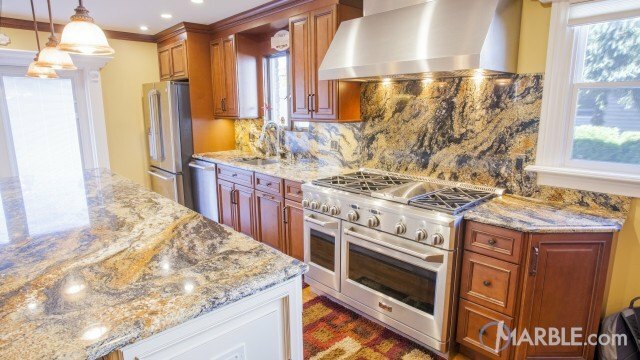 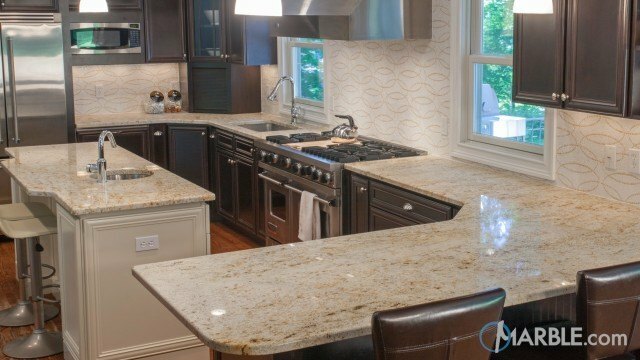 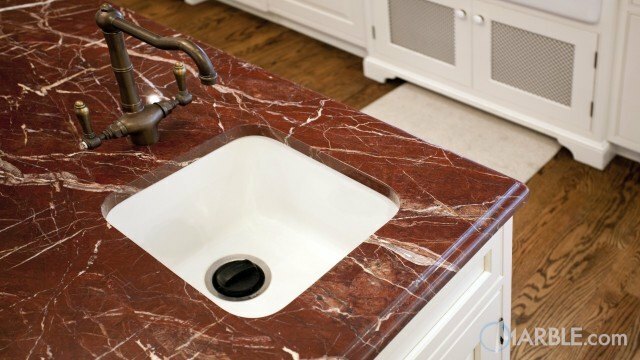 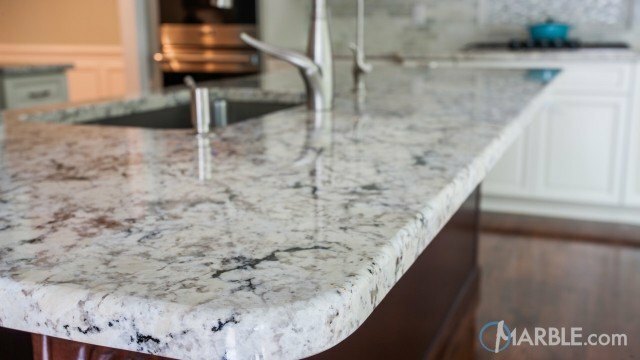 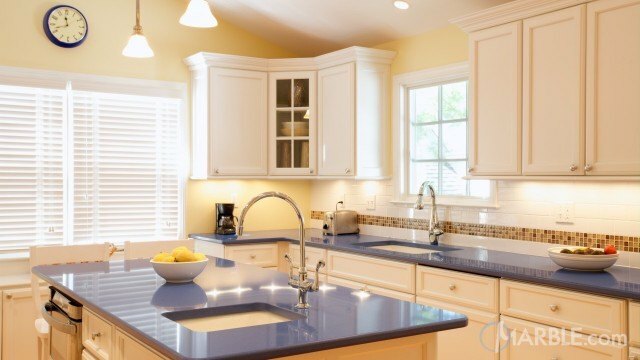 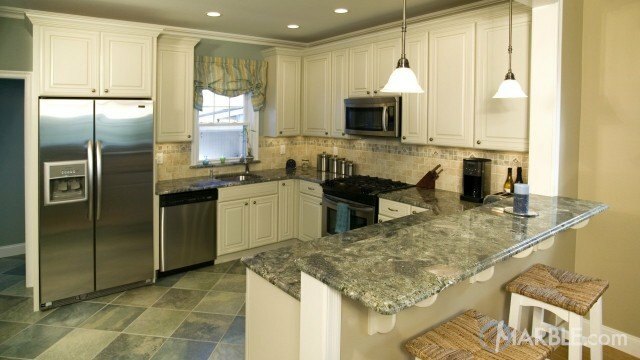 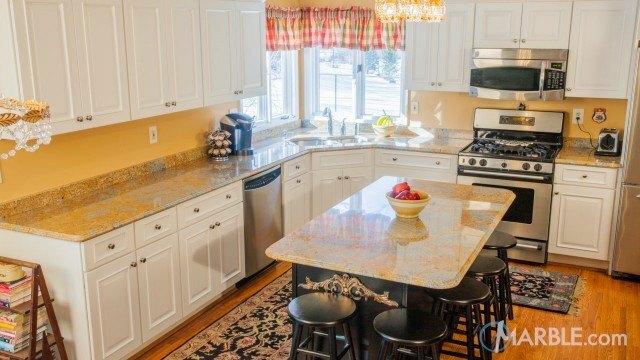 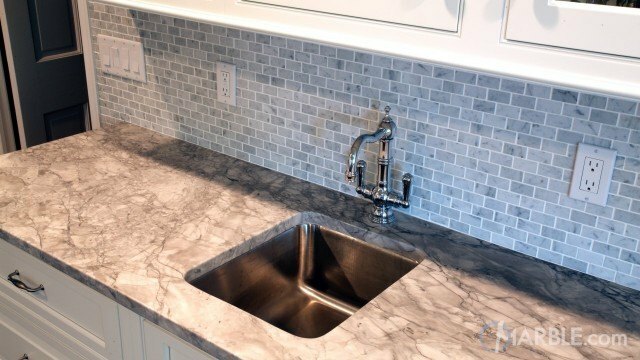 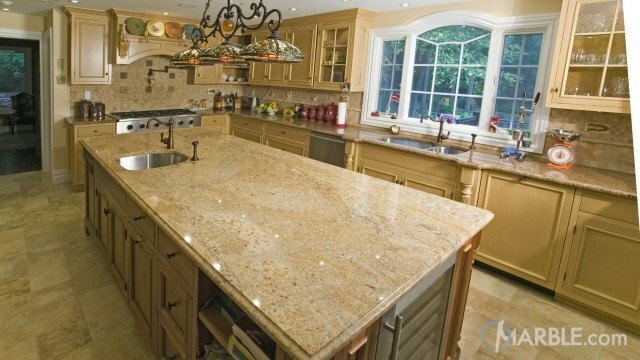 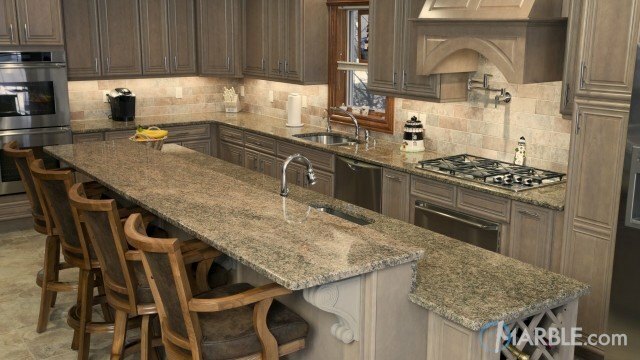 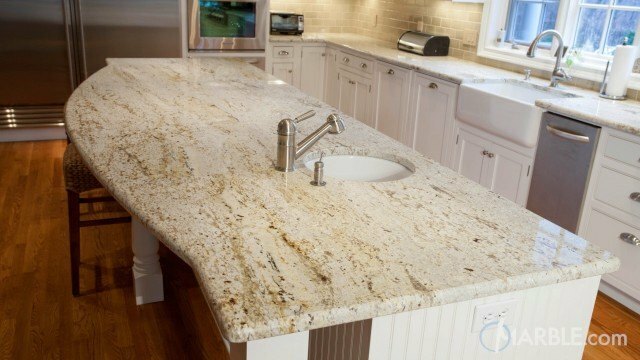 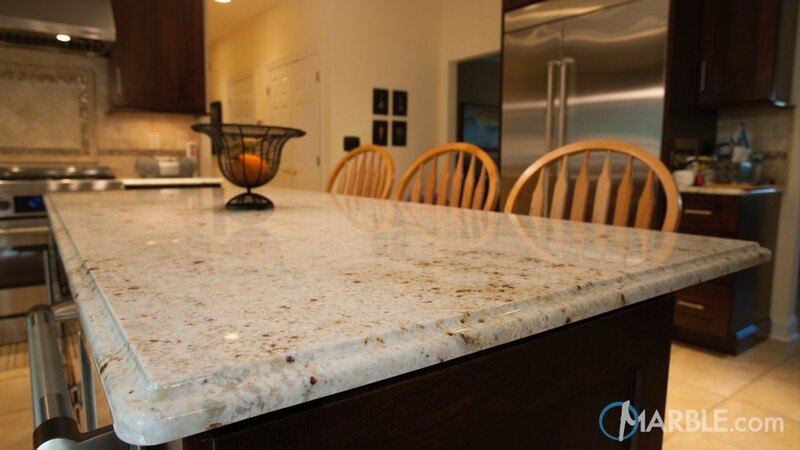 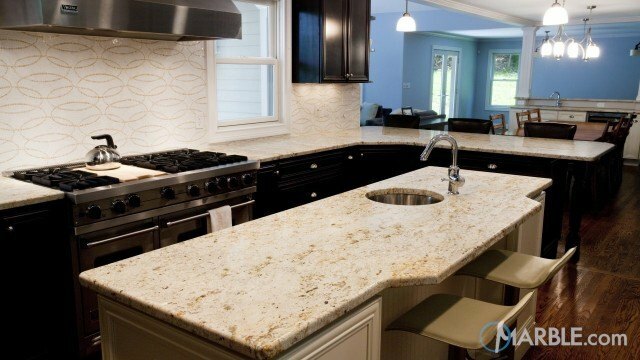 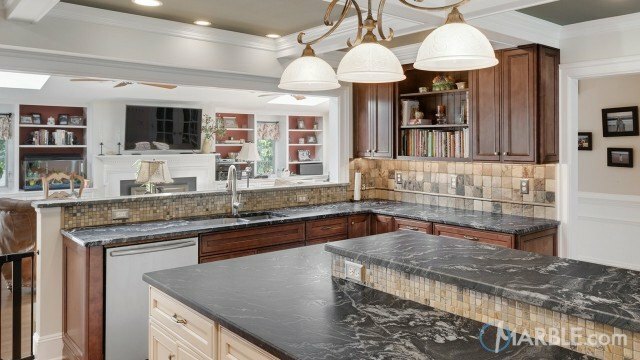 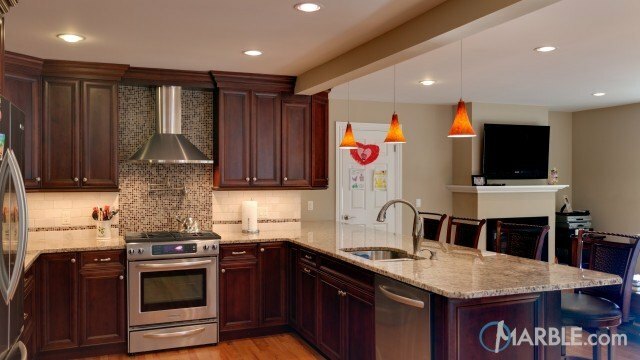 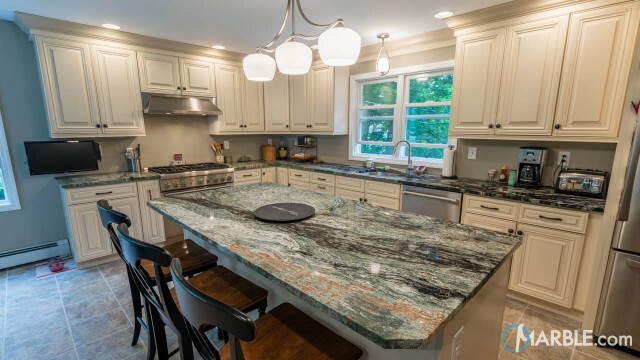 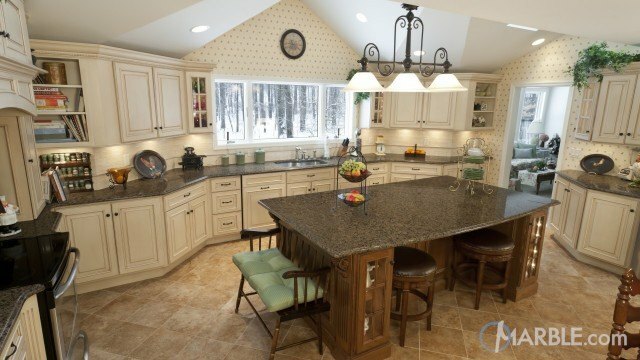 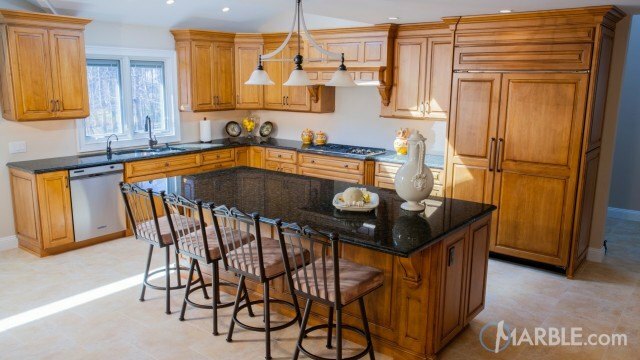 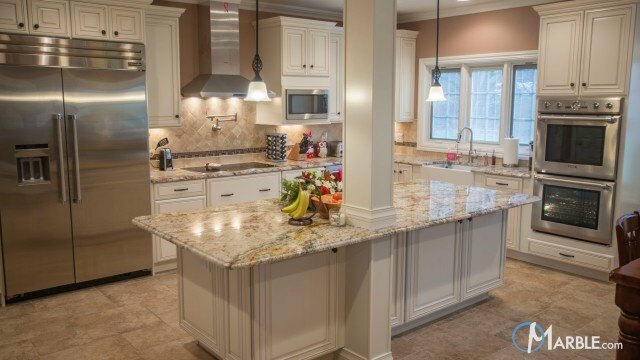 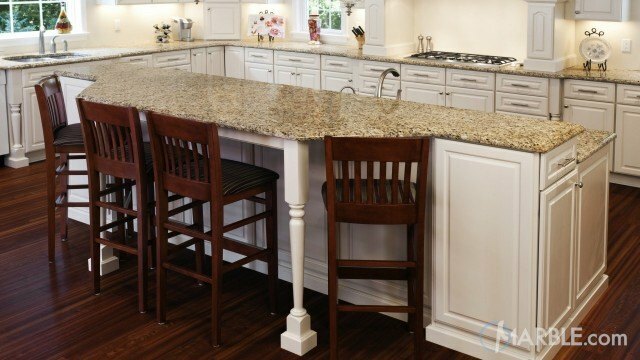 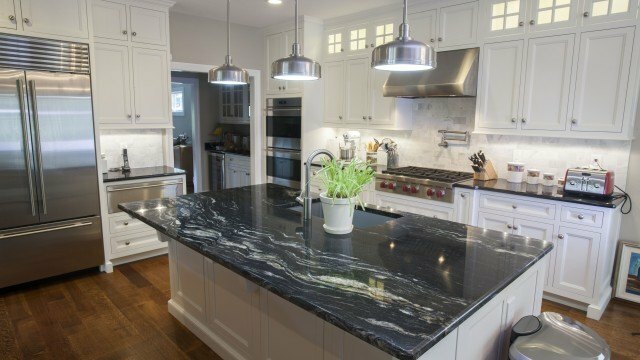 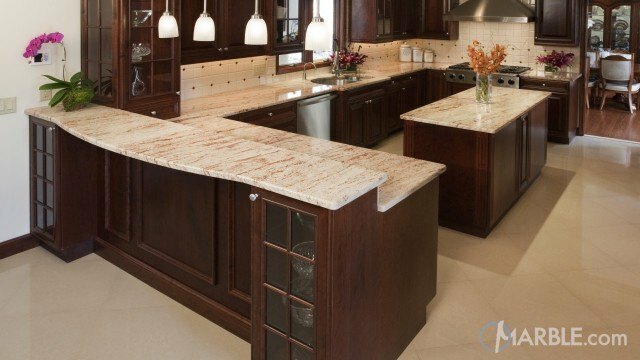 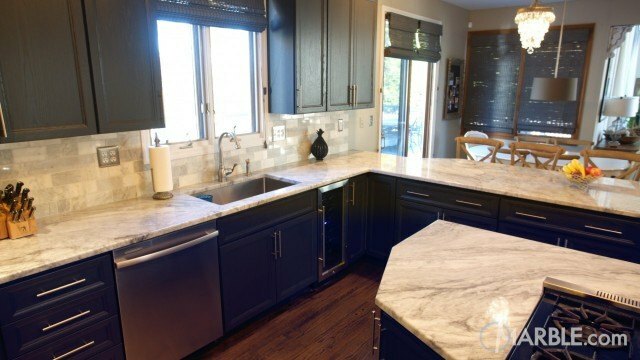 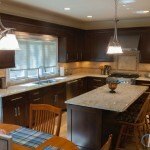 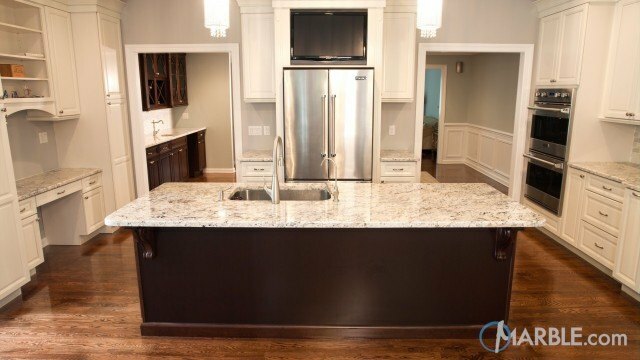 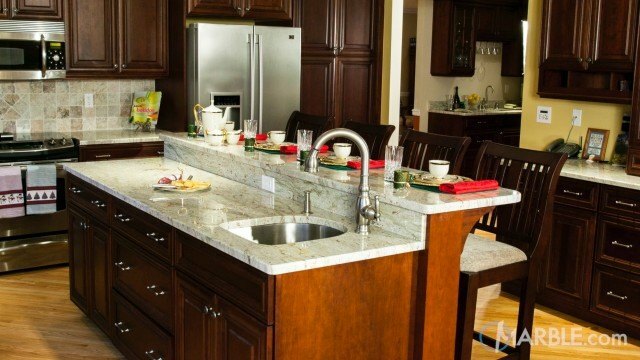 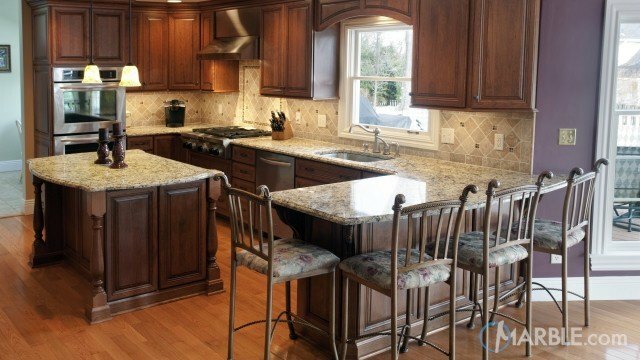 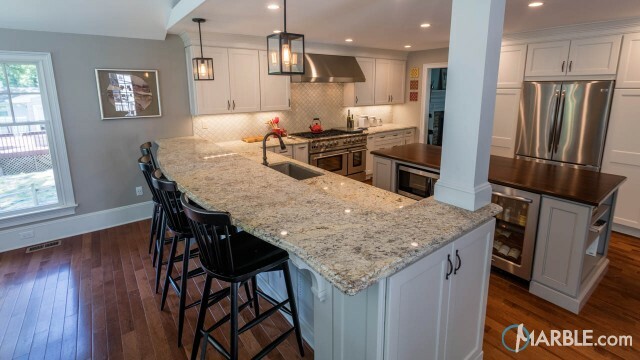 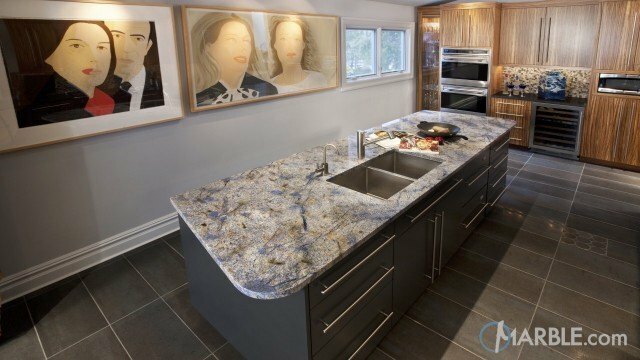 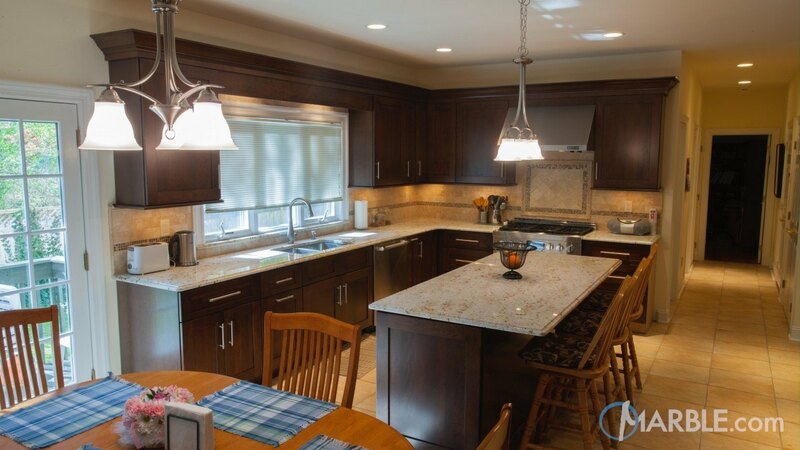 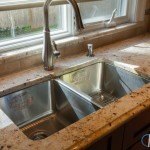 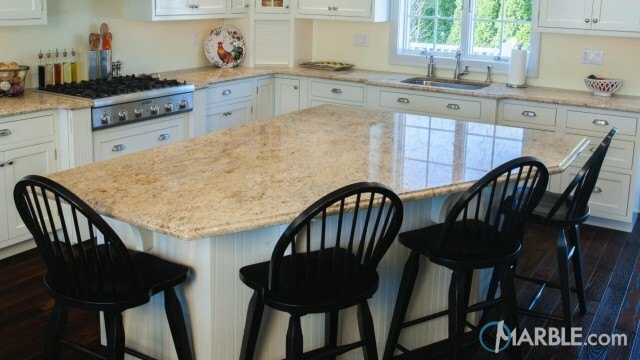 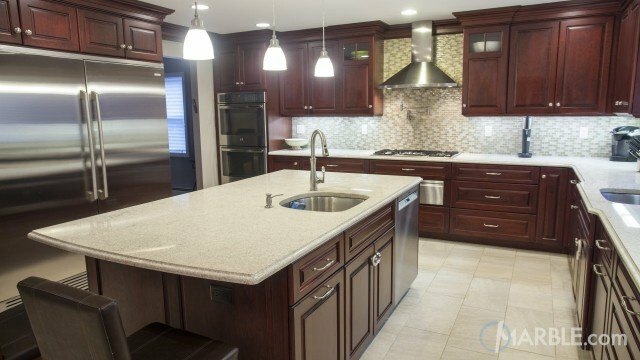 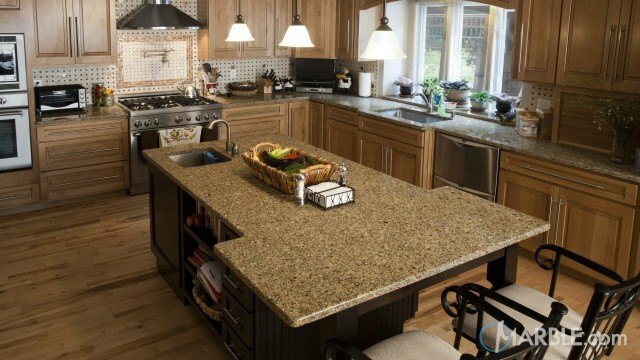 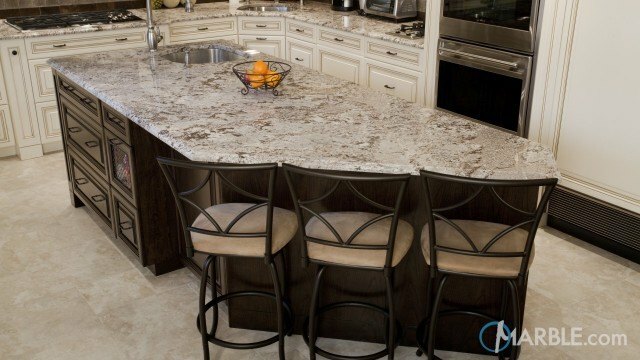 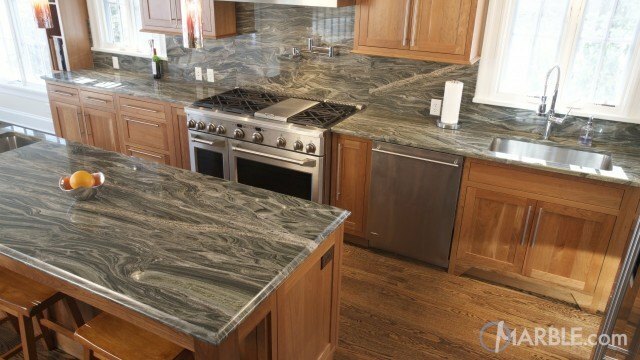 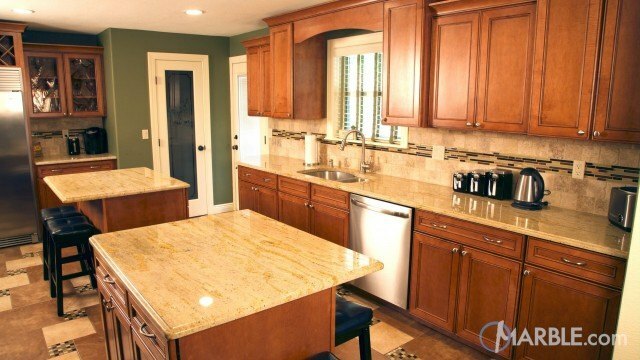 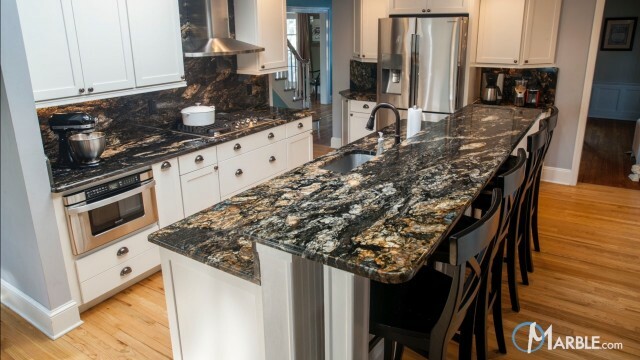 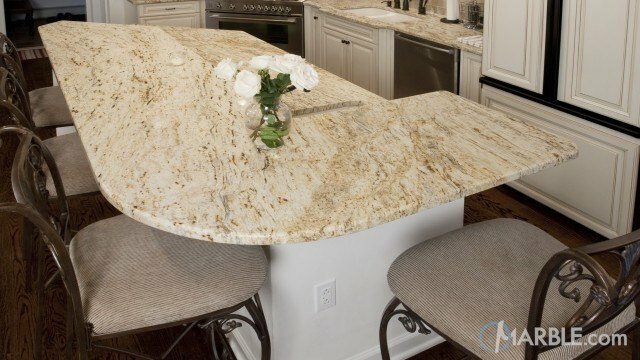 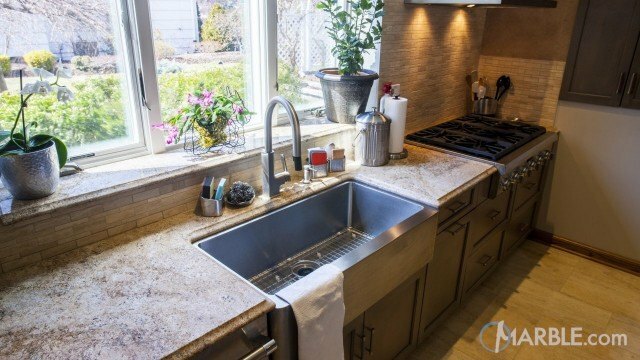 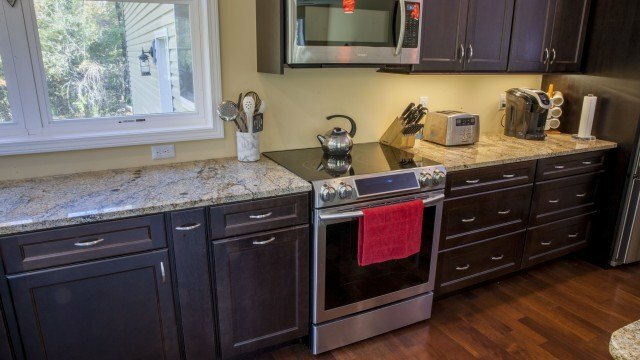 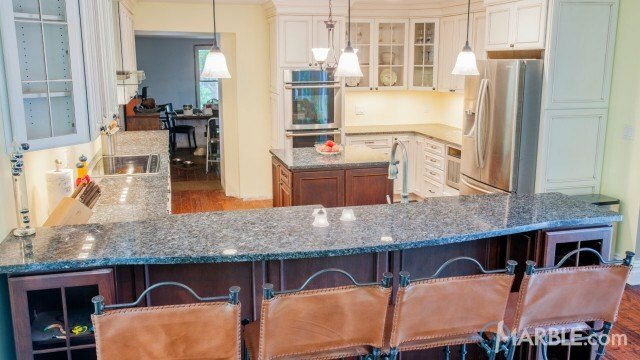 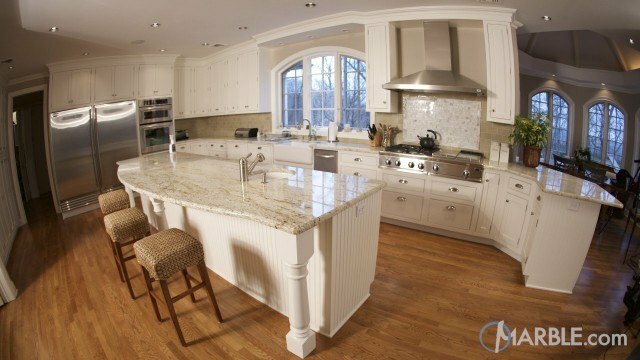 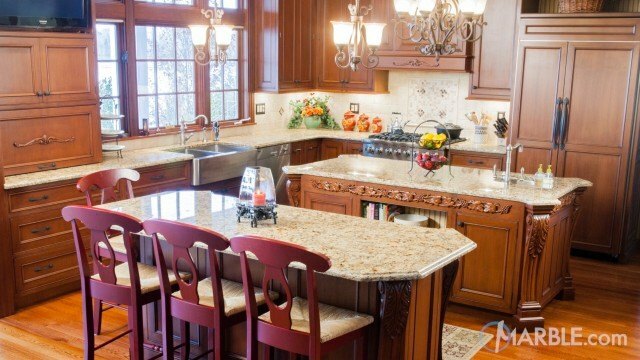 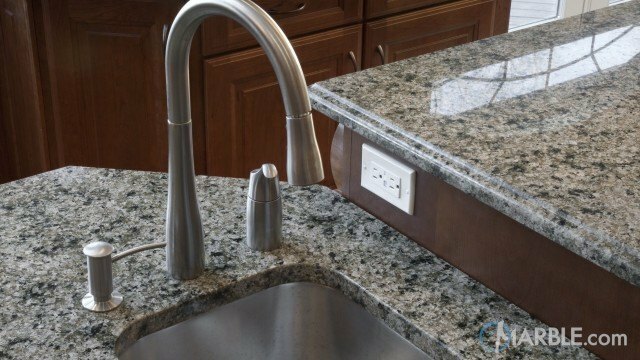 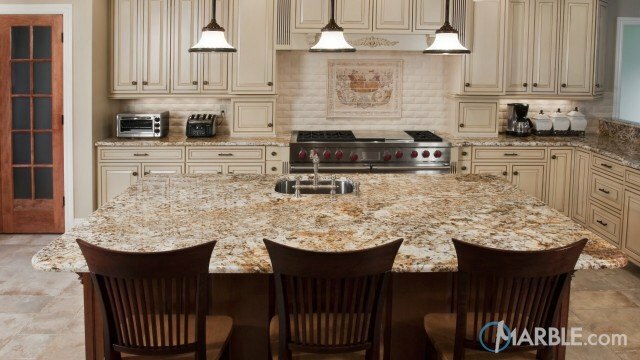 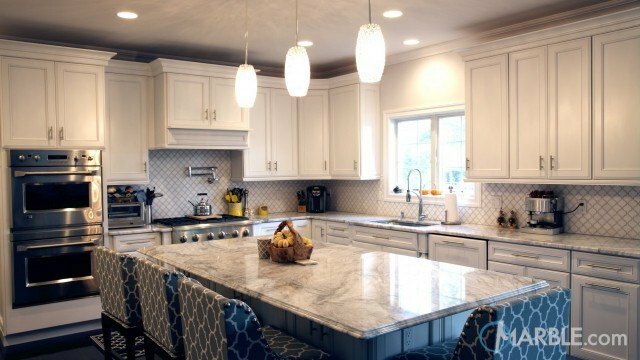 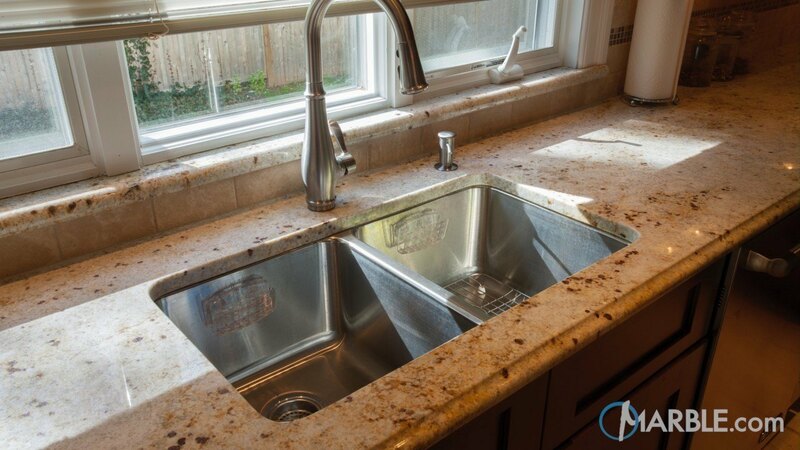 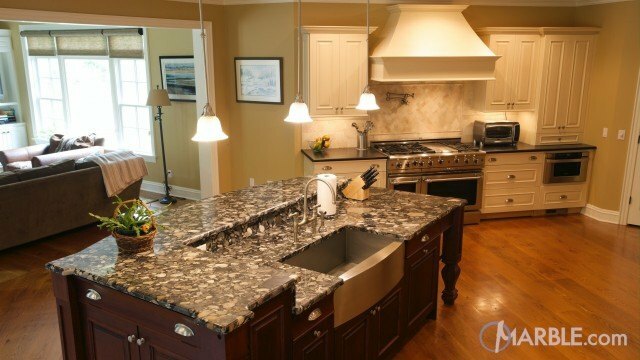 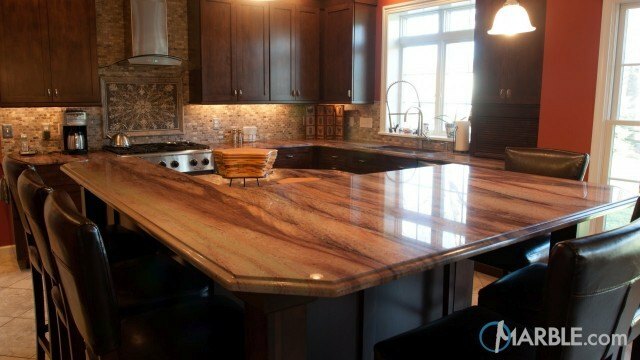 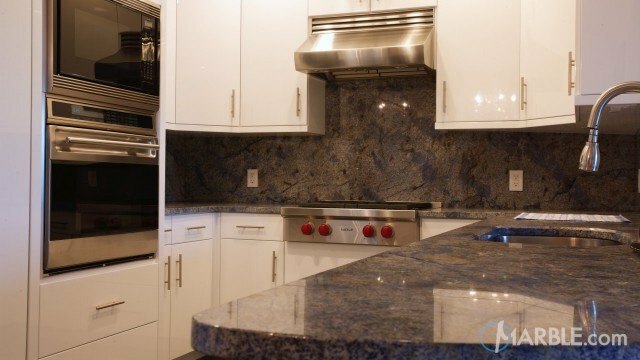 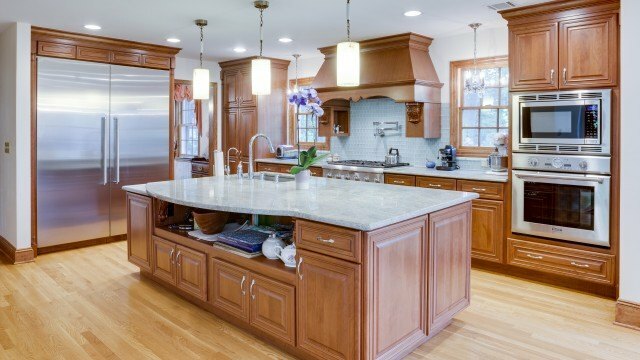 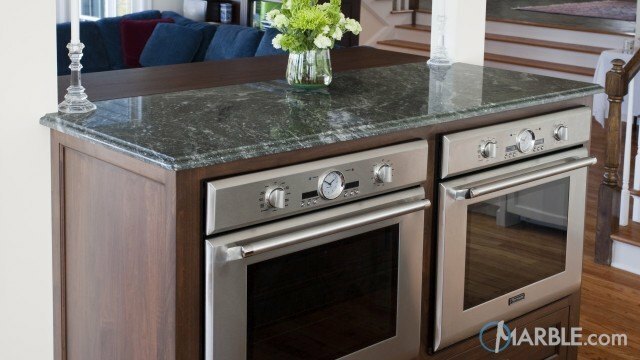 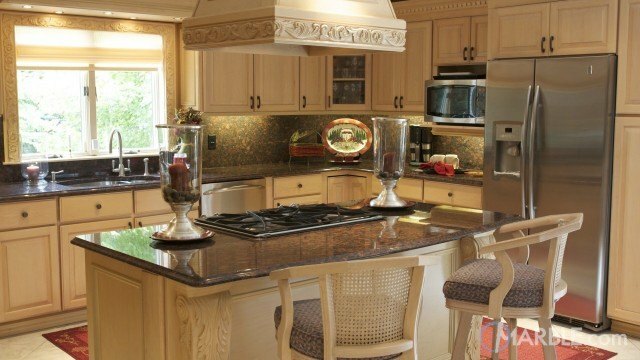 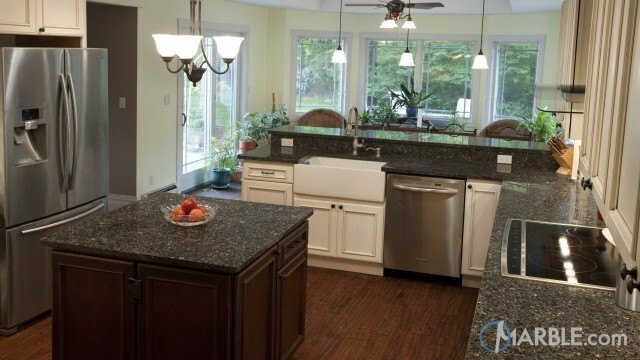 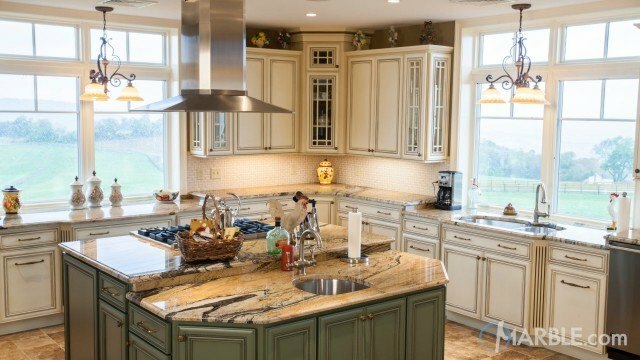 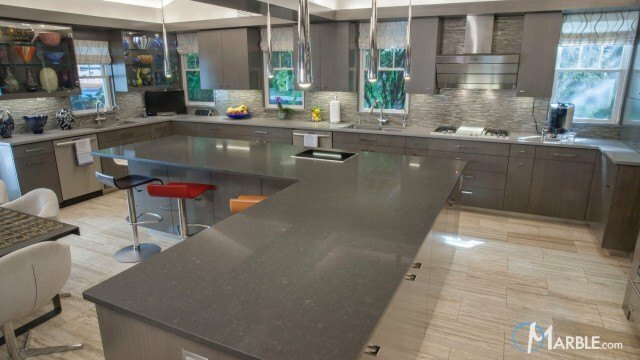 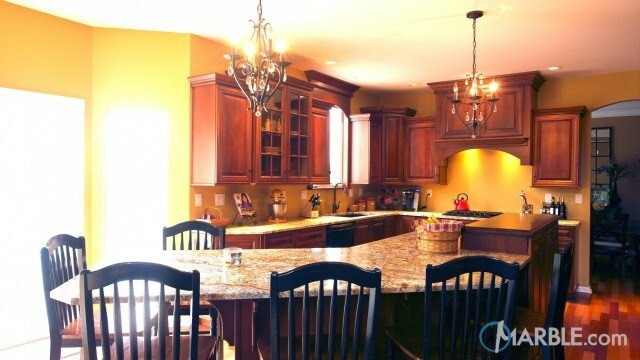 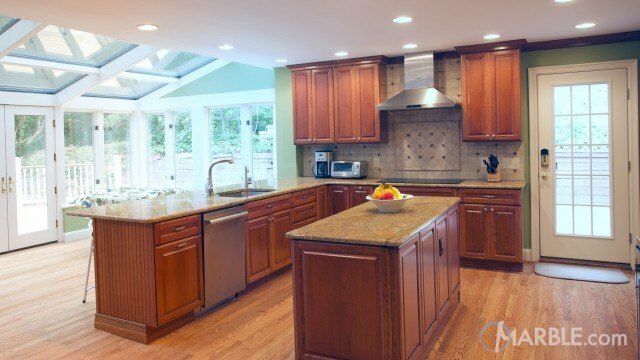 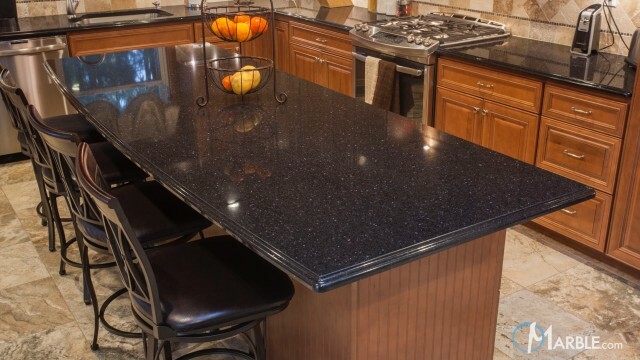 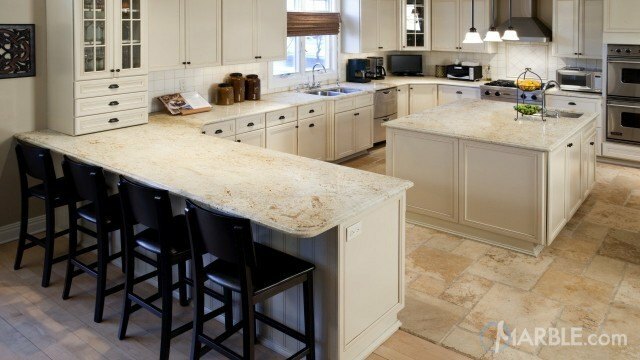 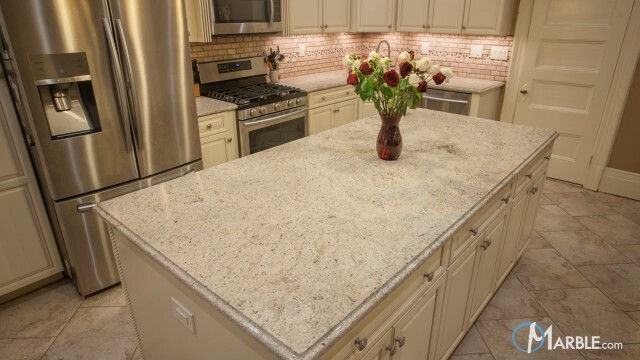 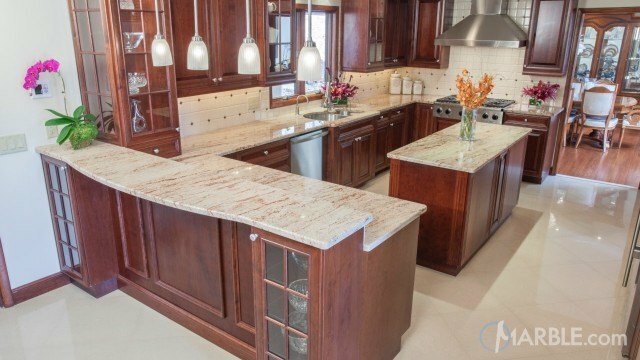 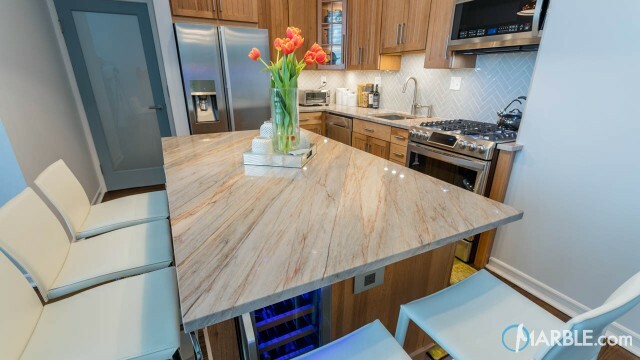 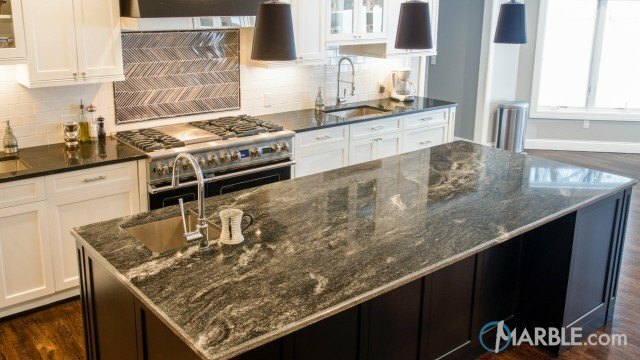 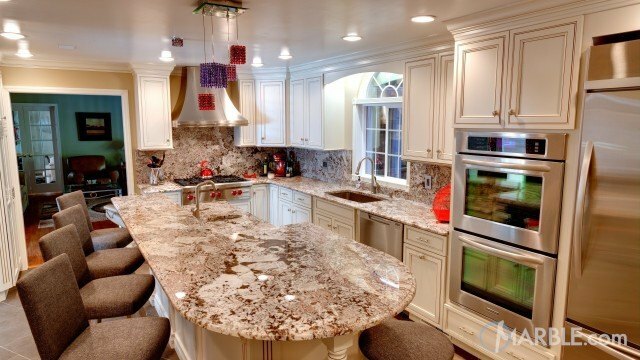 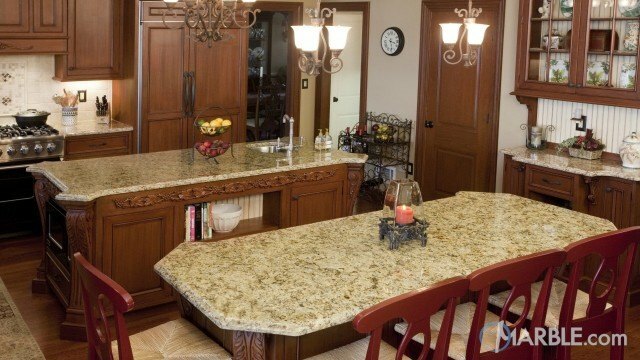 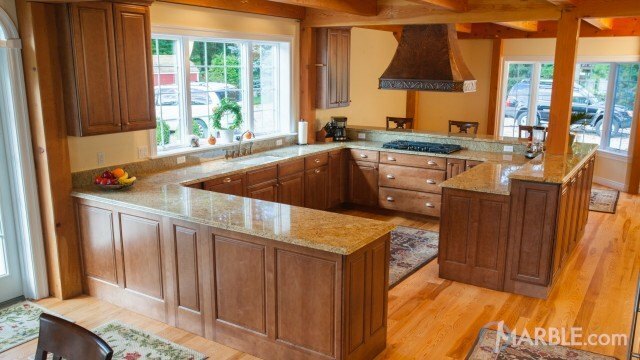 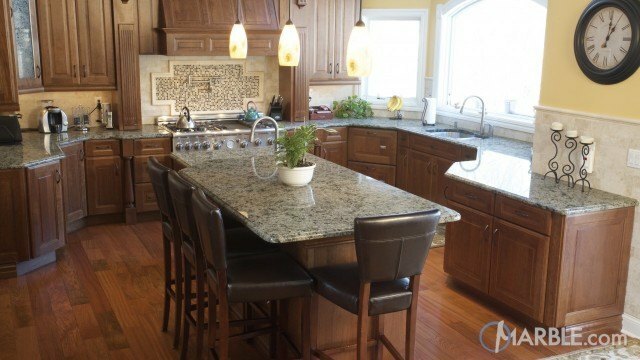 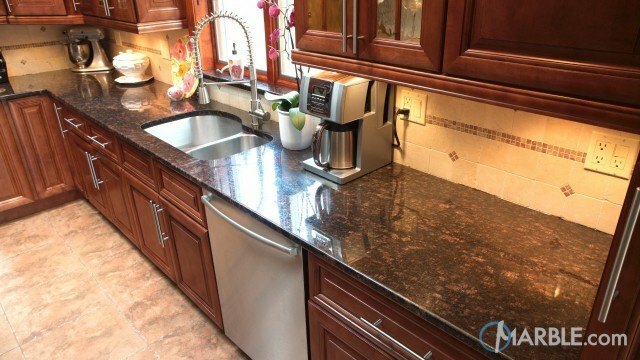 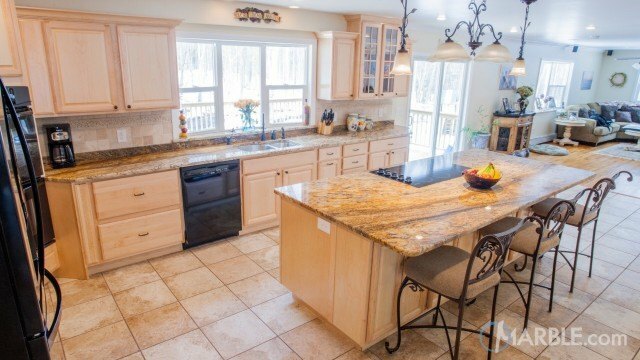 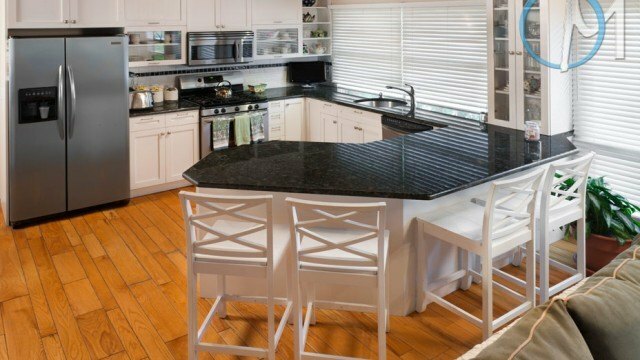 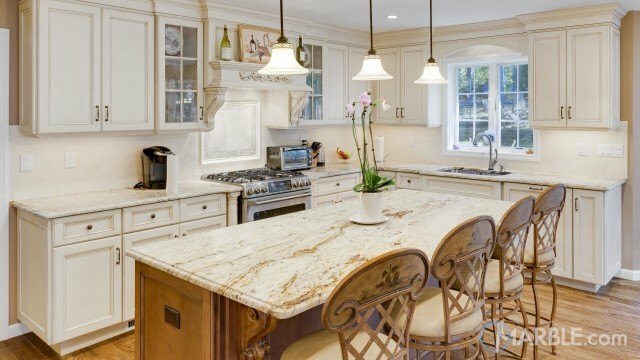 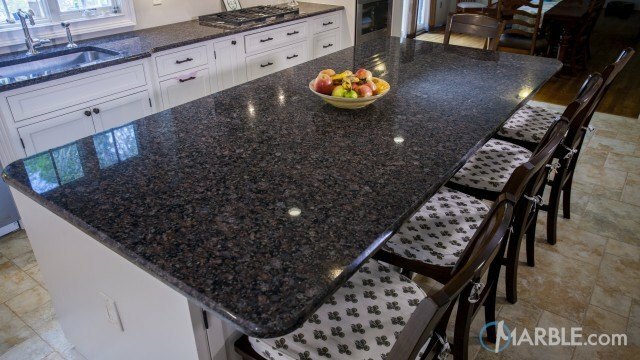 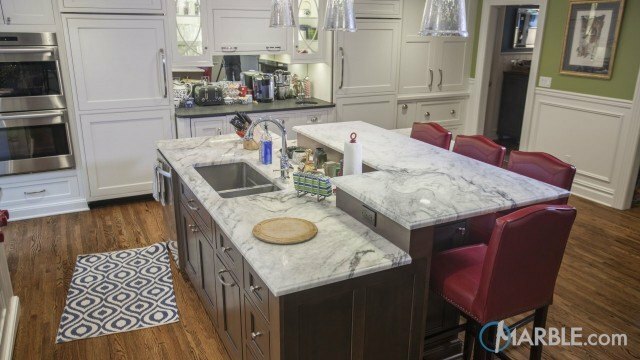 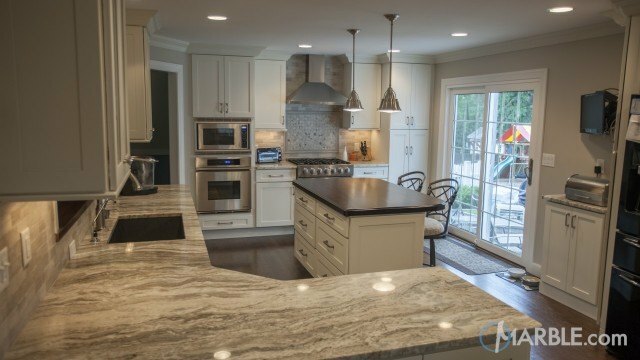 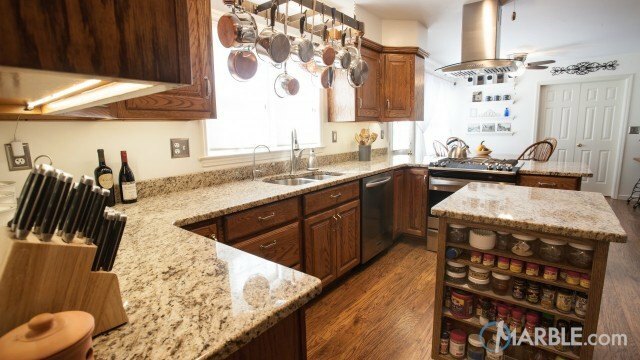 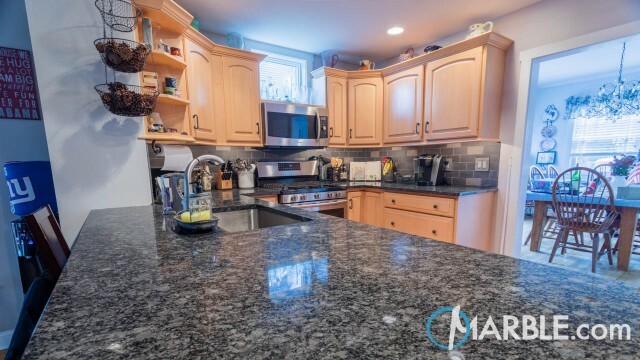 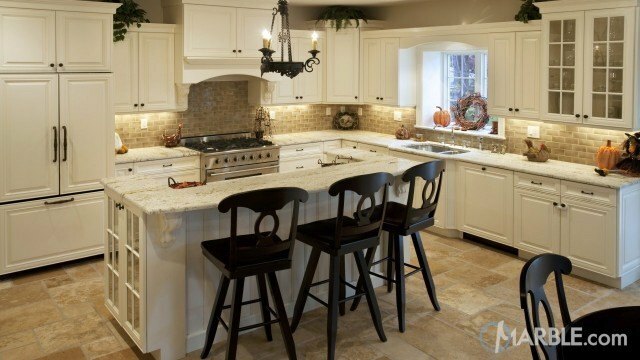 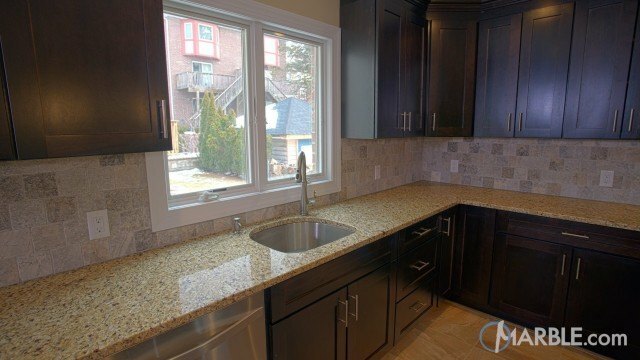 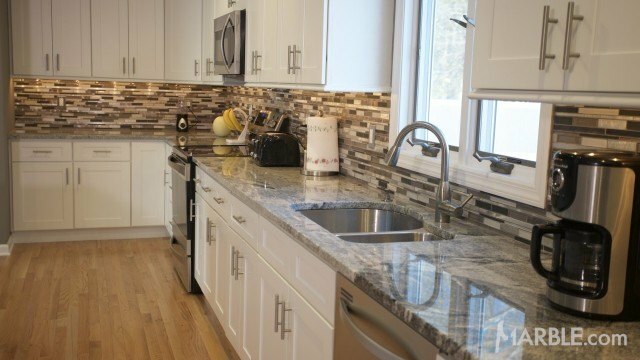 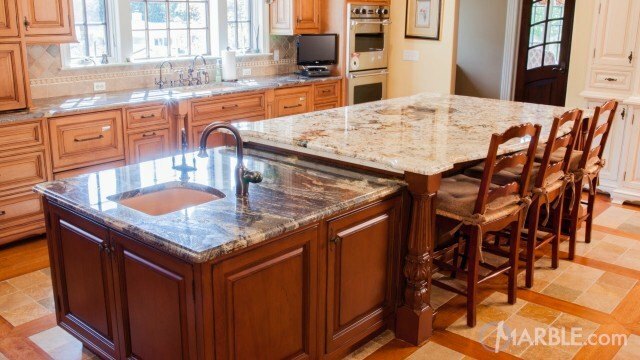 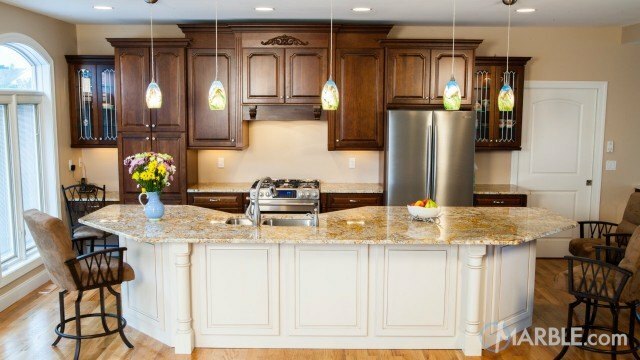 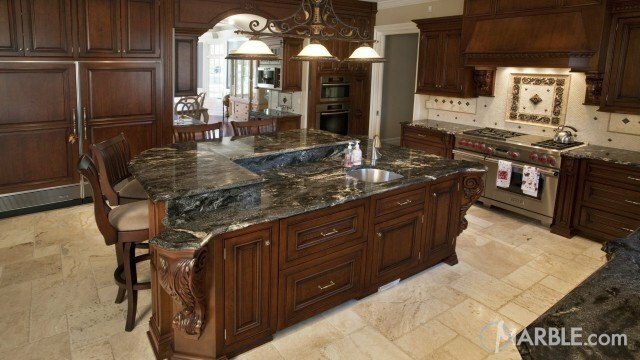 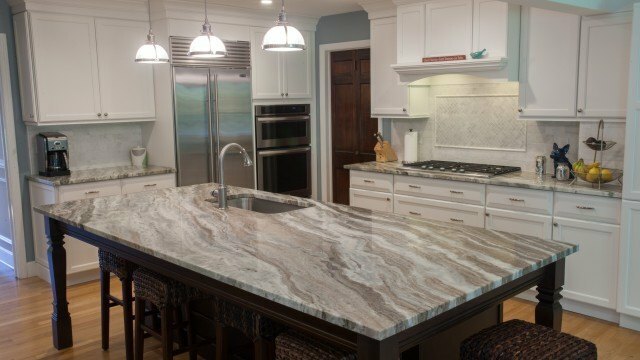 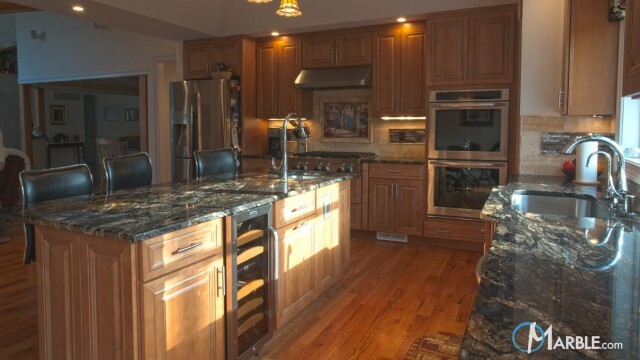 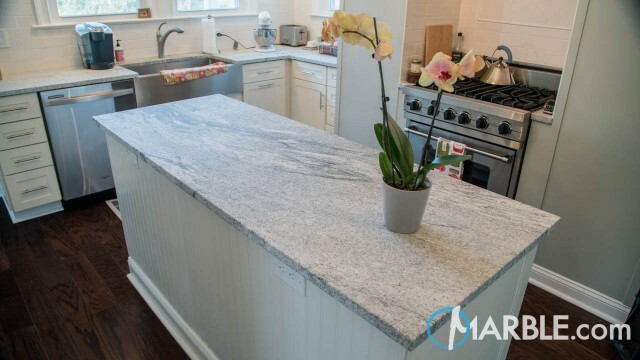 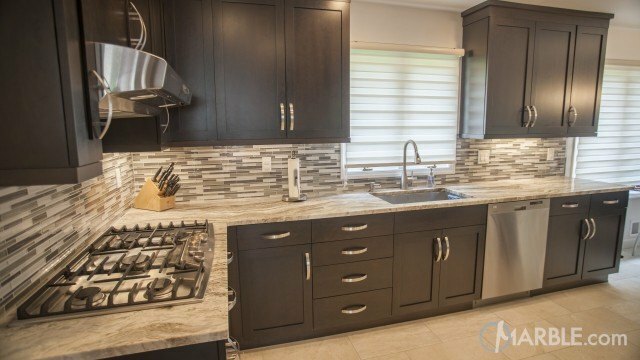 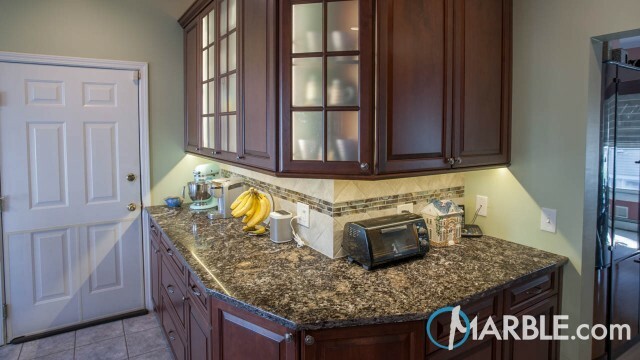 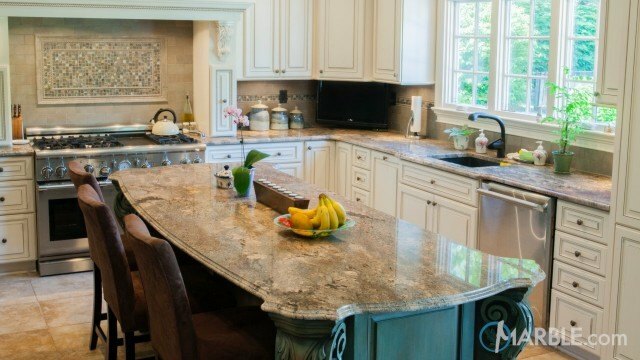 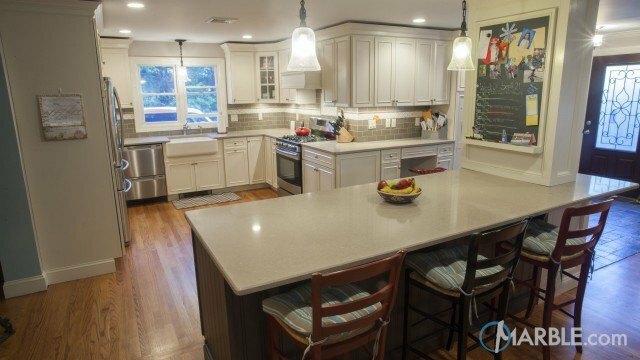 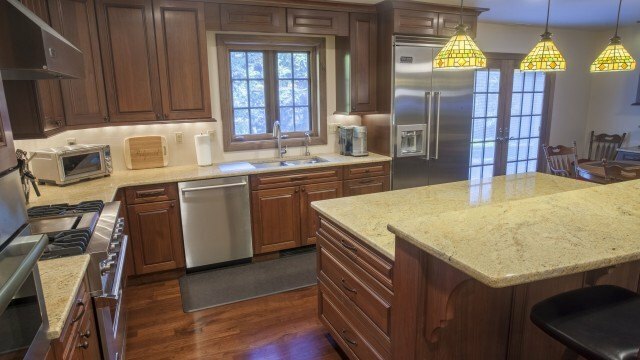 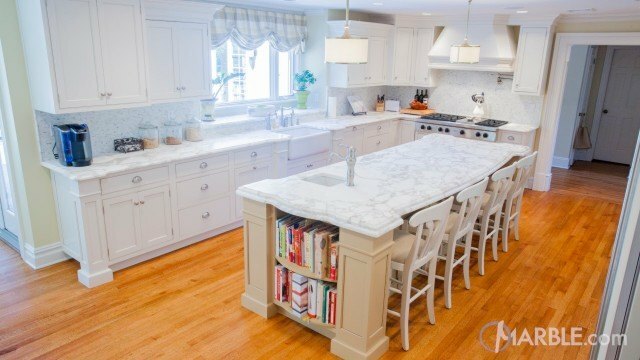 Kashmir Gold granite with an Ogee Edge brings life to this functional kitchen. 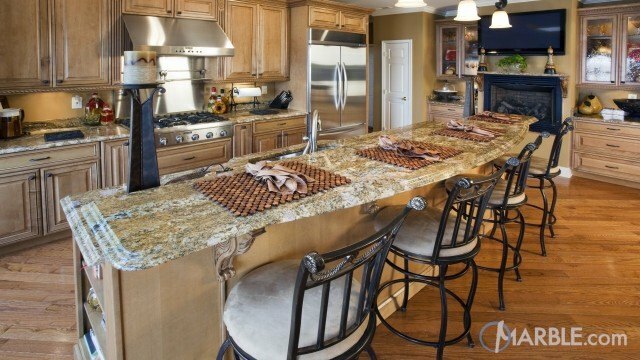 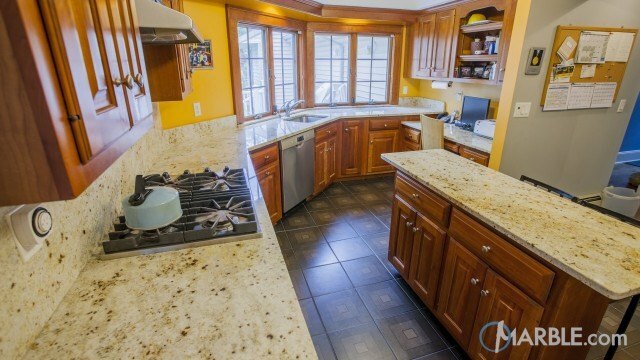 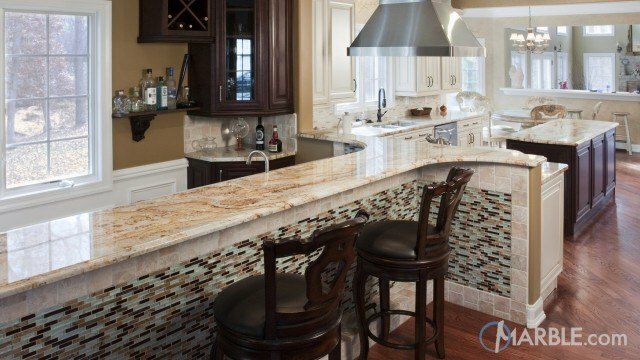 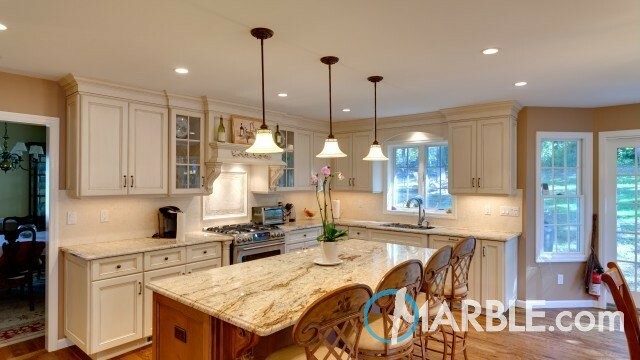 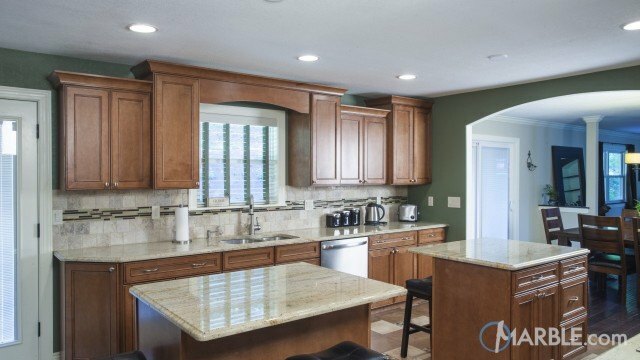 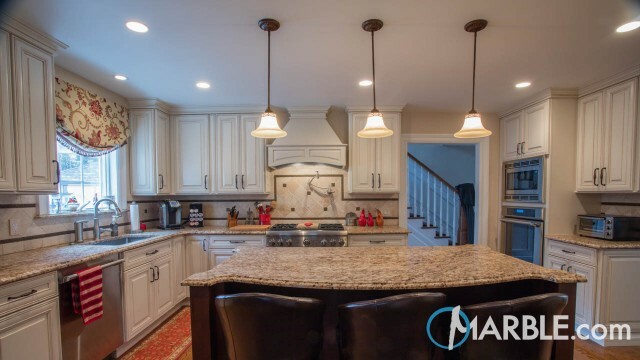 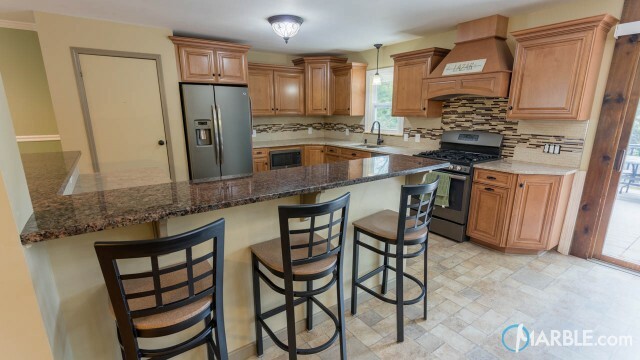 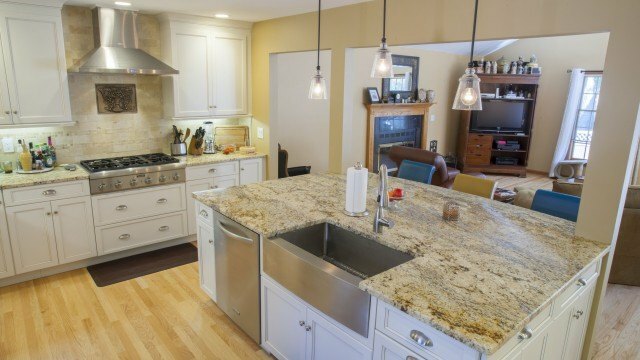 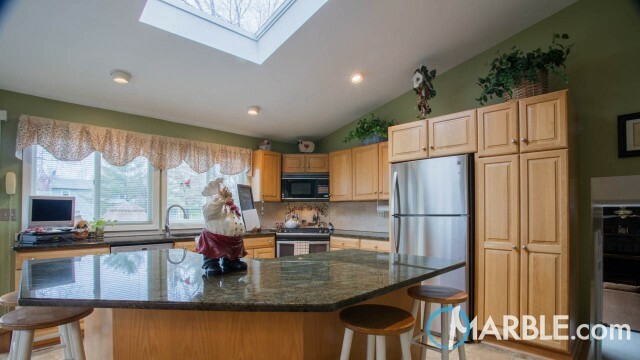 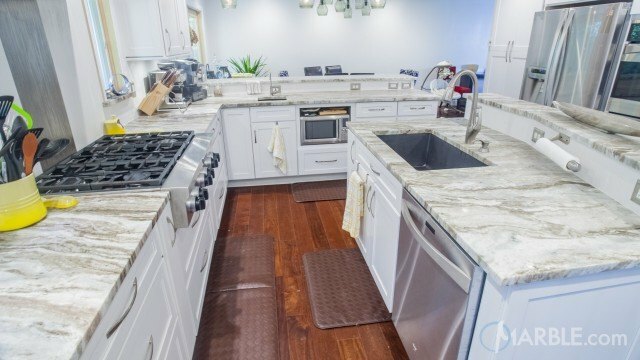 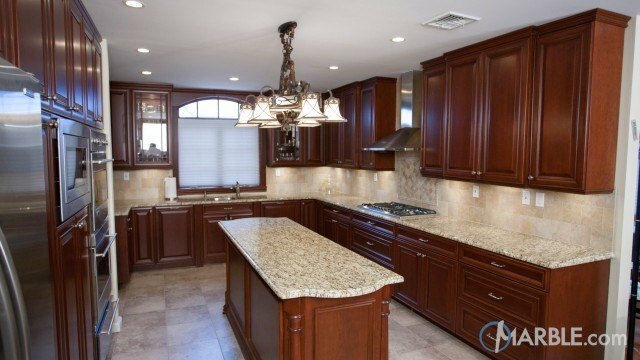 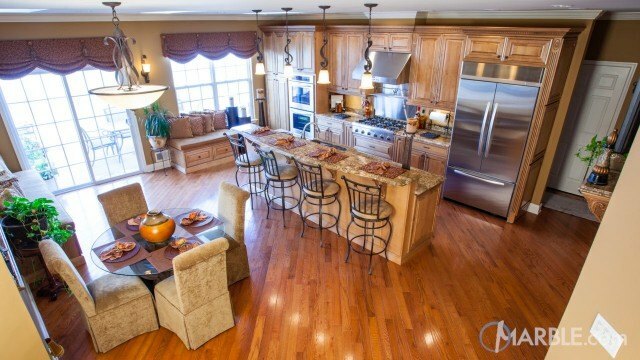 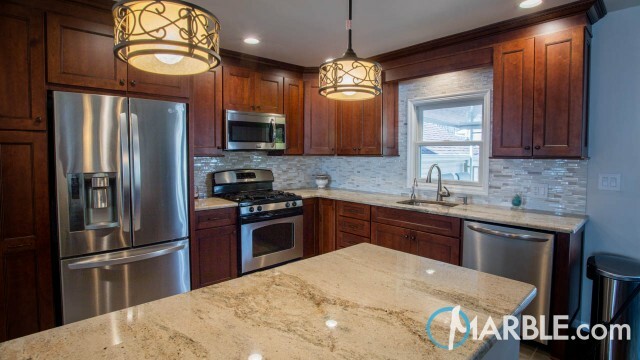 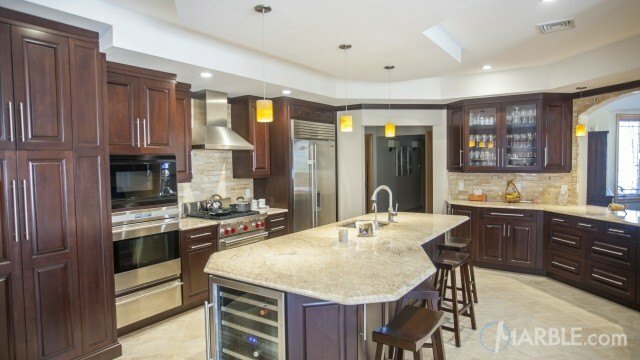 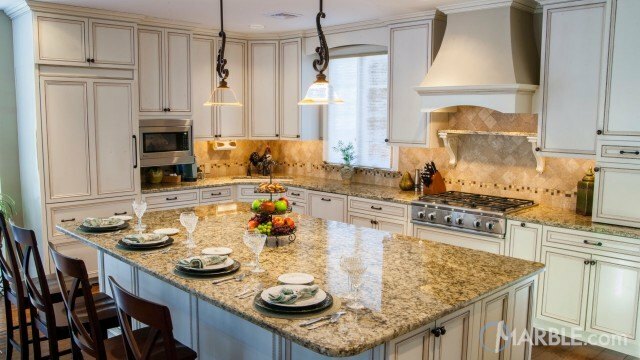 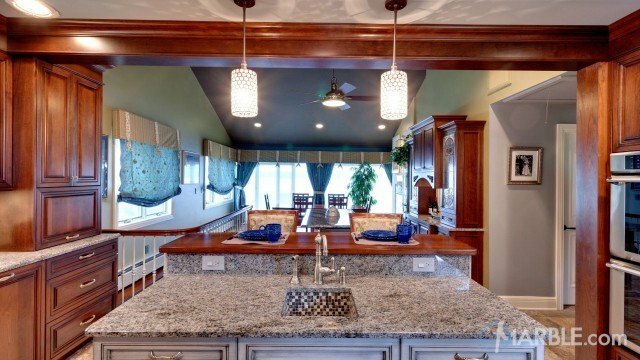 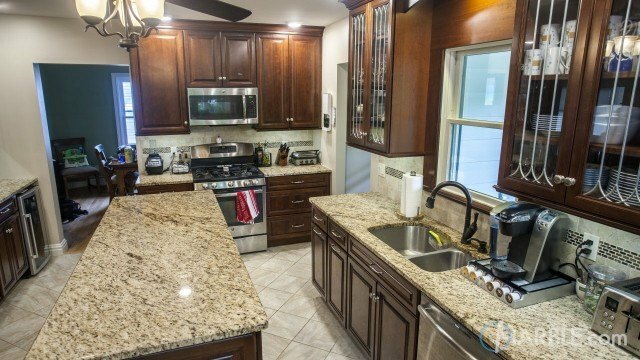 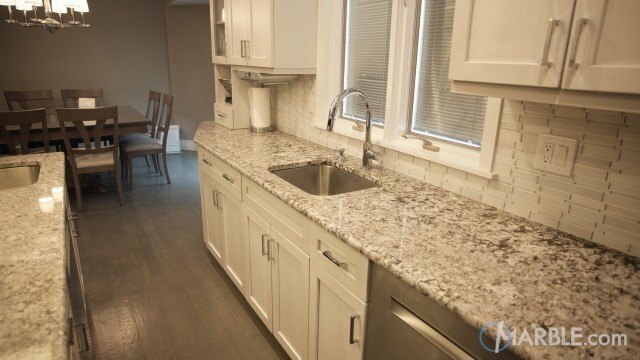 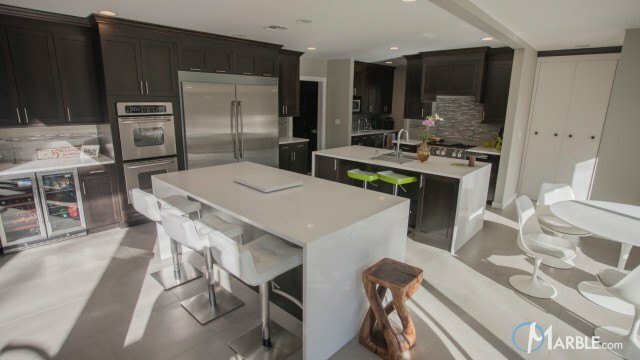 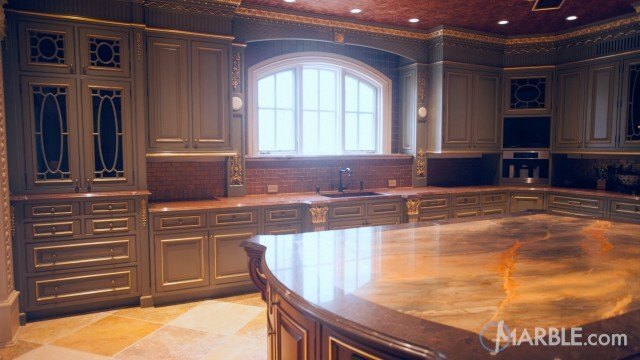 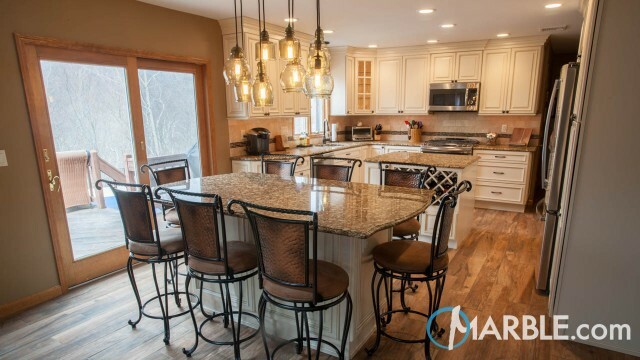 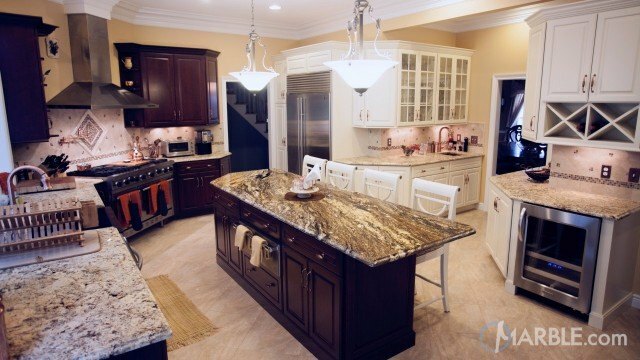 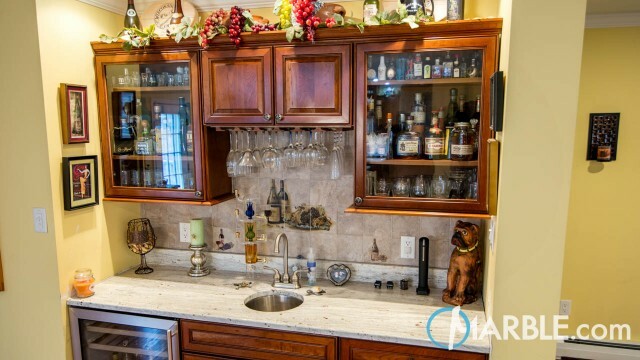 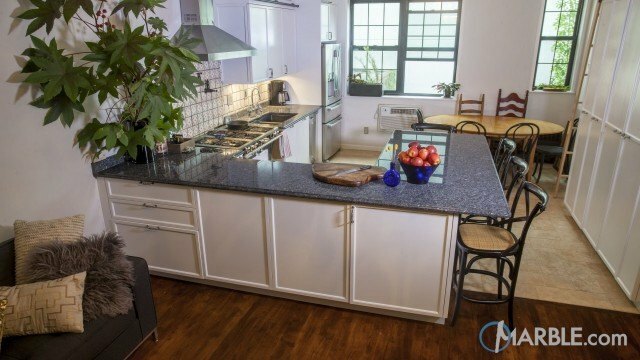 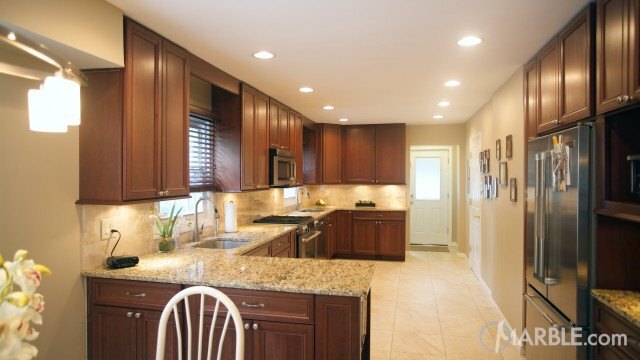 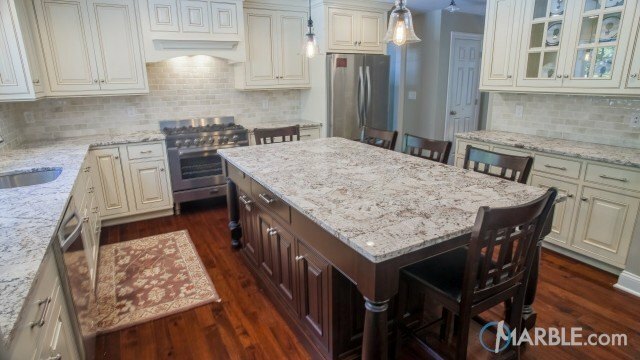 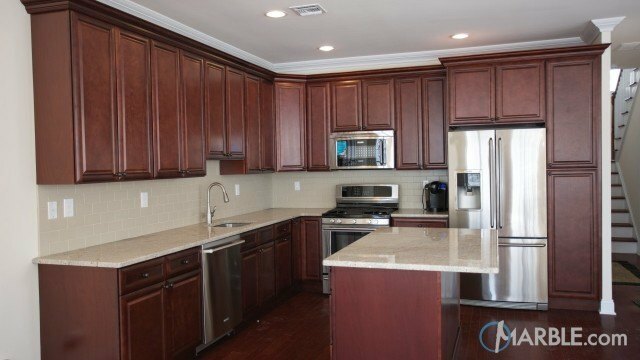 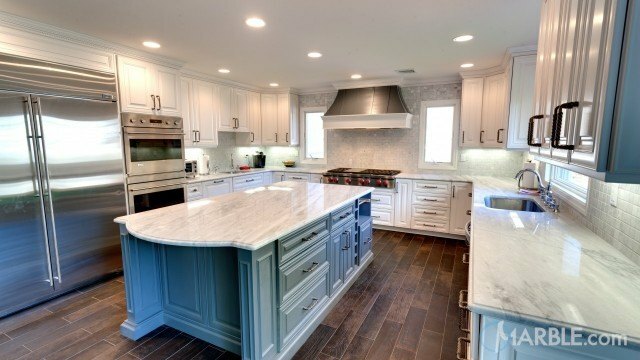 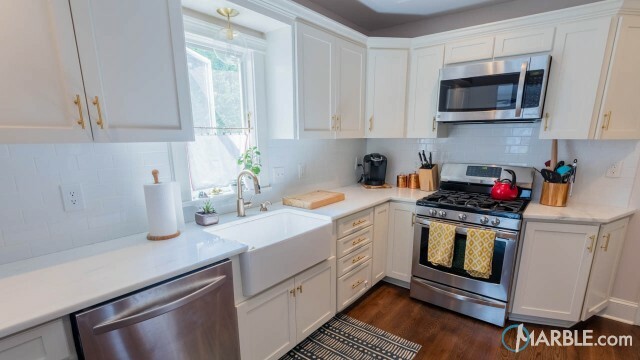 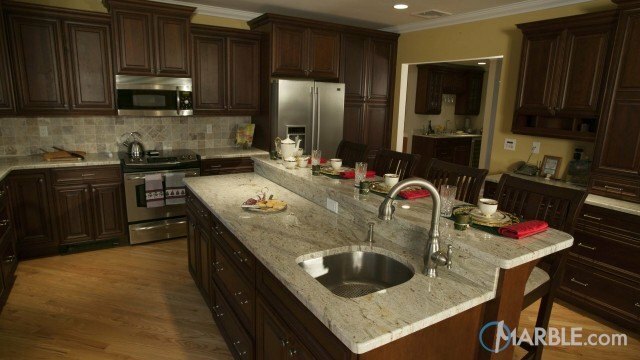 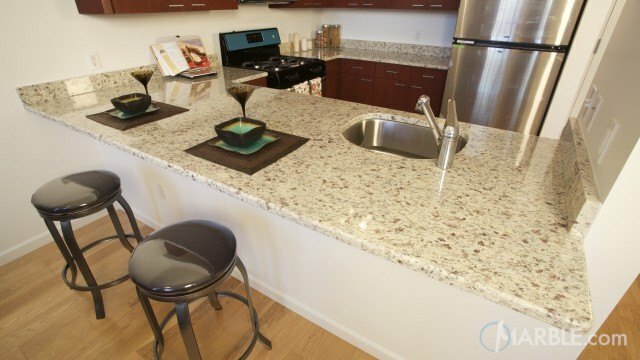 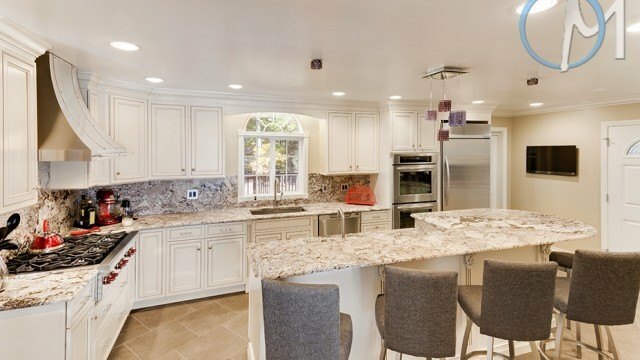 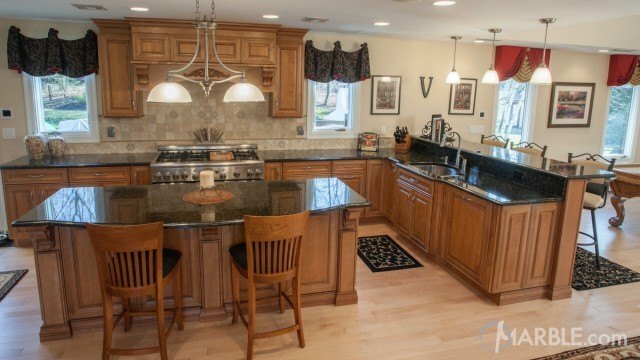 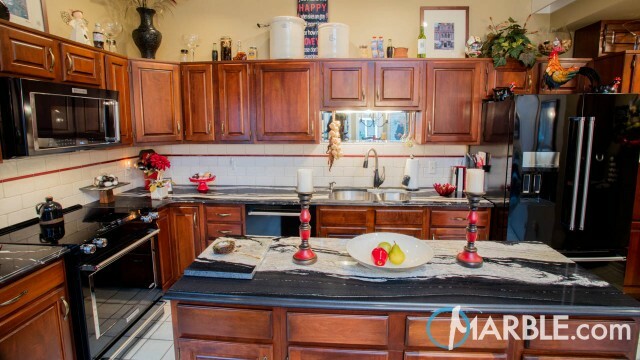 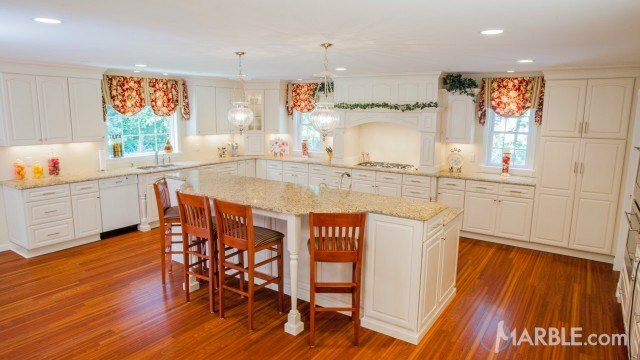 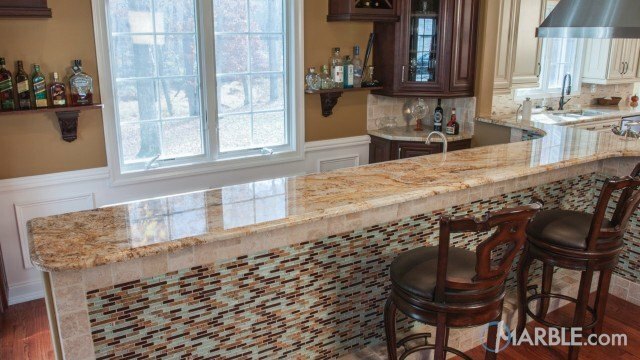 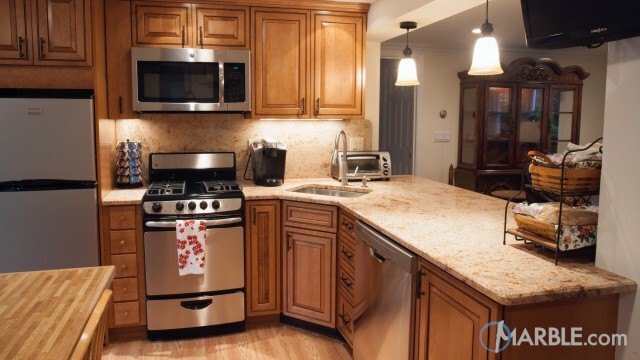 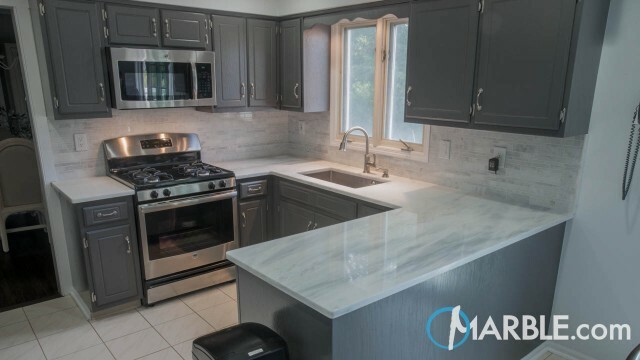 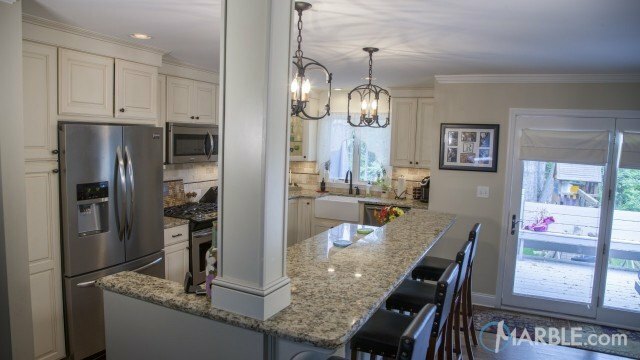 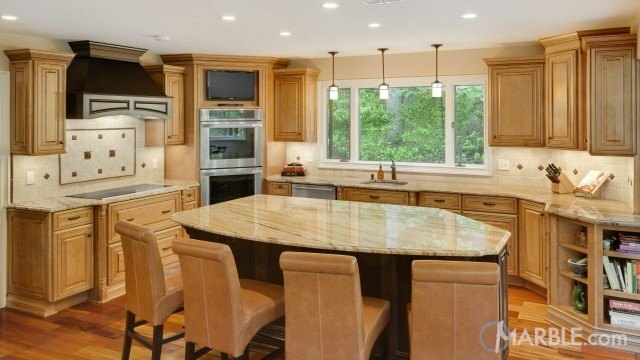 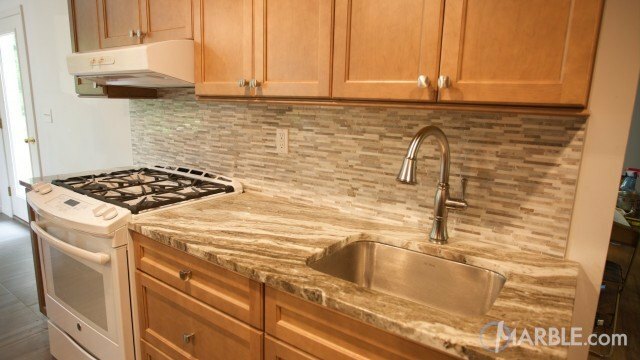 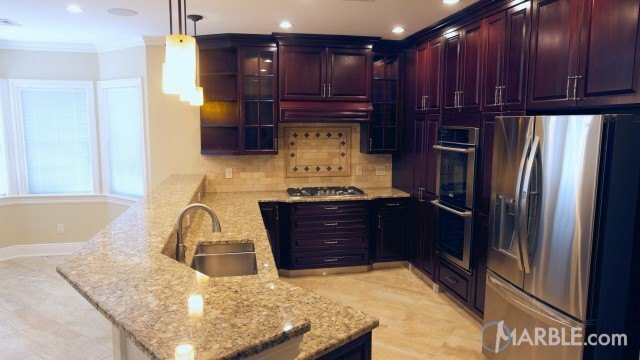 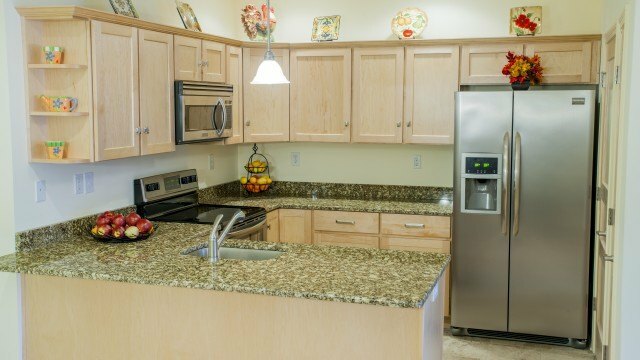 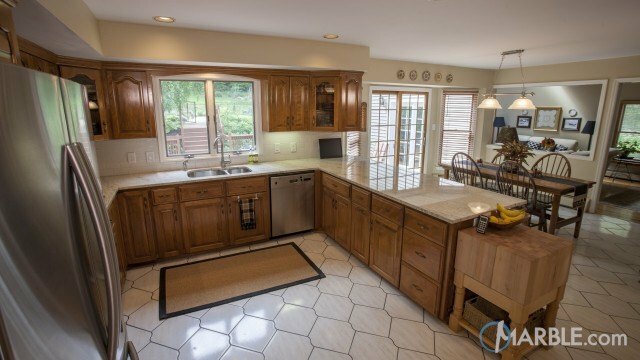 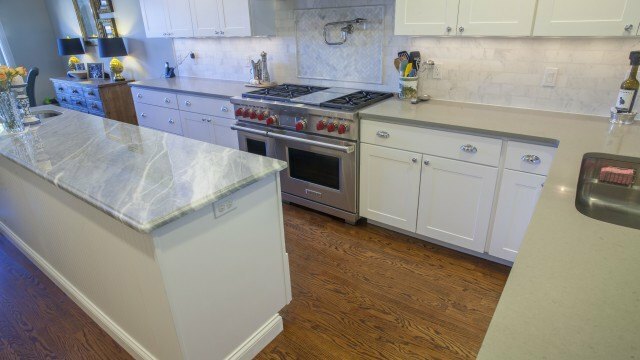 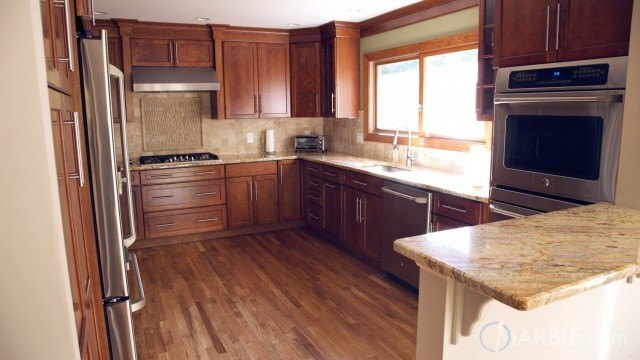 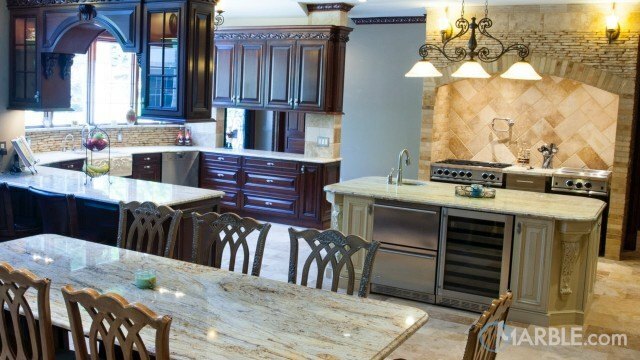 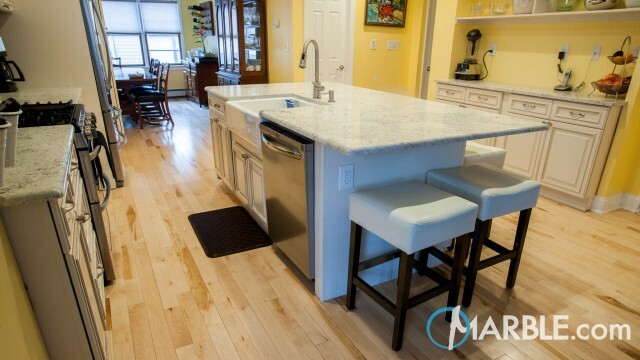 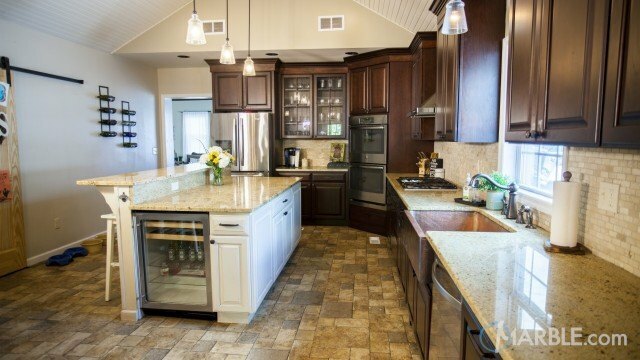 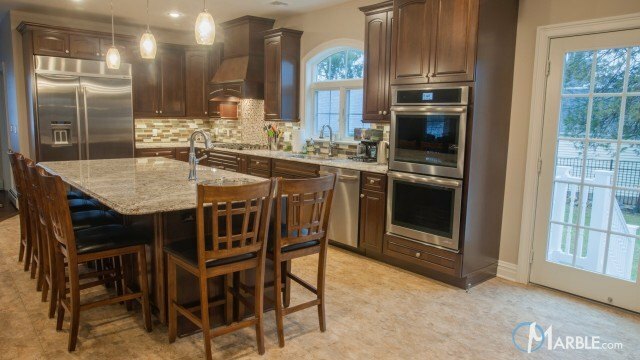 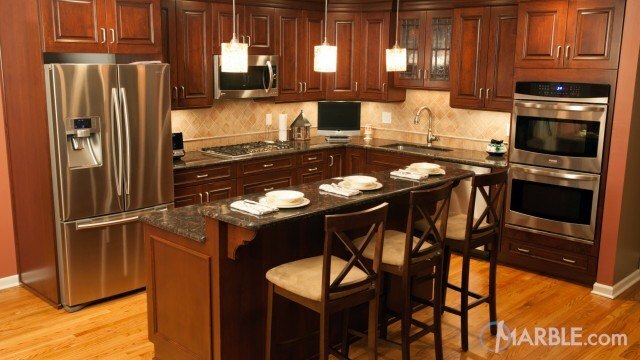 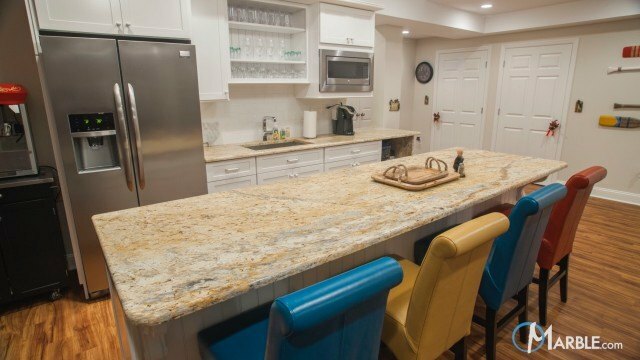 The kitchen and dining room flow together with a gold-tiled floor that complements the granite counter tops. 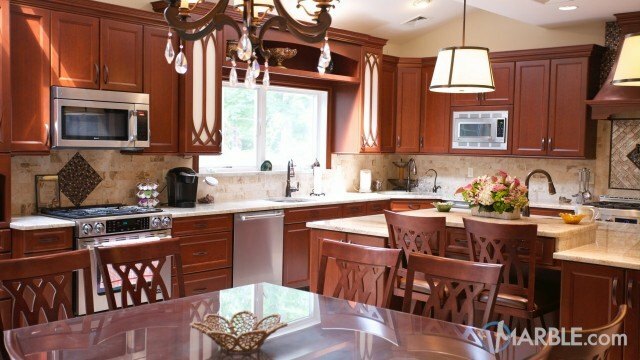 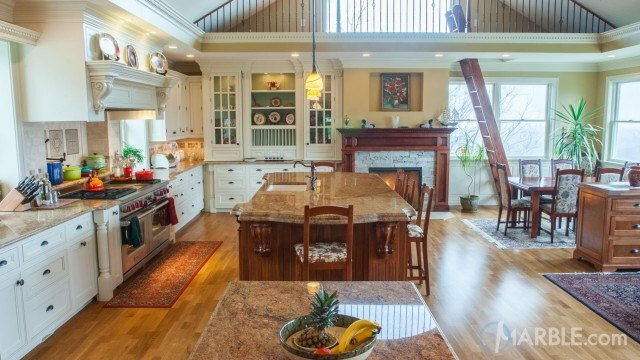 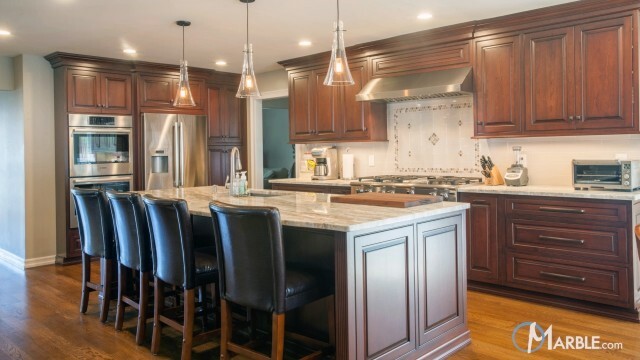 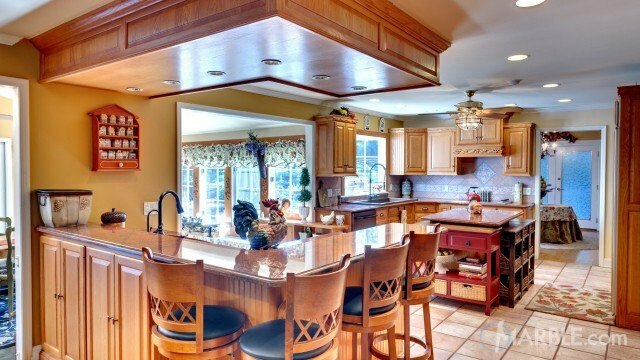 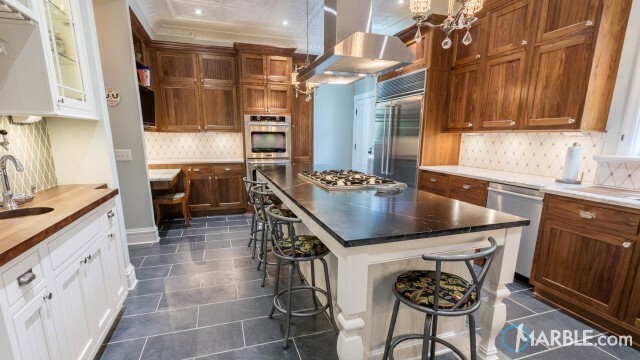 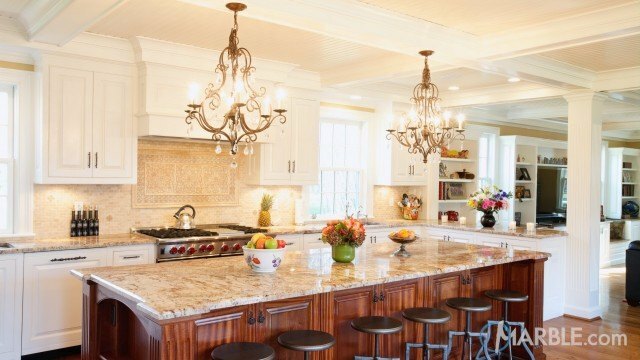 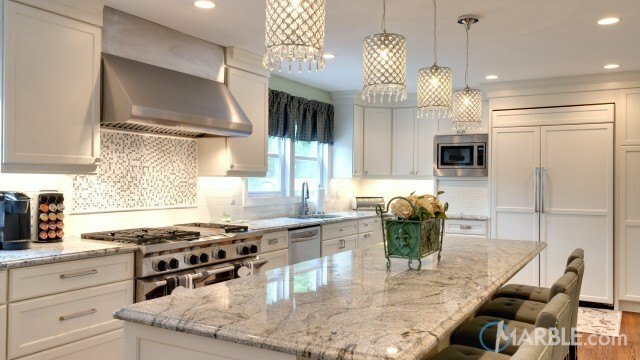 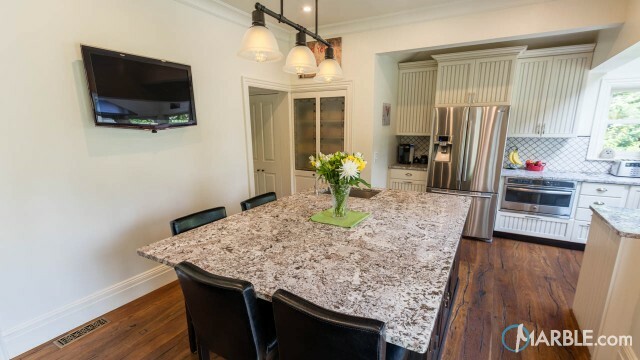 Modern chandeliers top the dining table as well as the island in the middle of the kitchen. 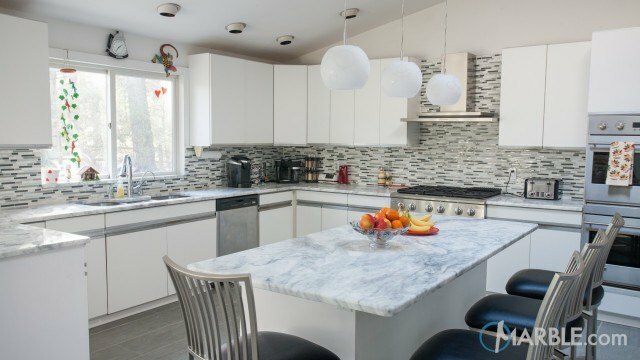 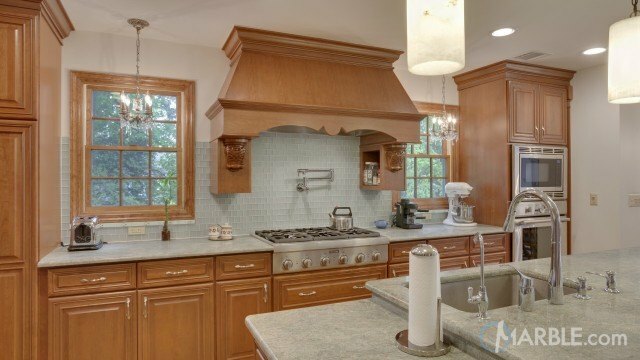 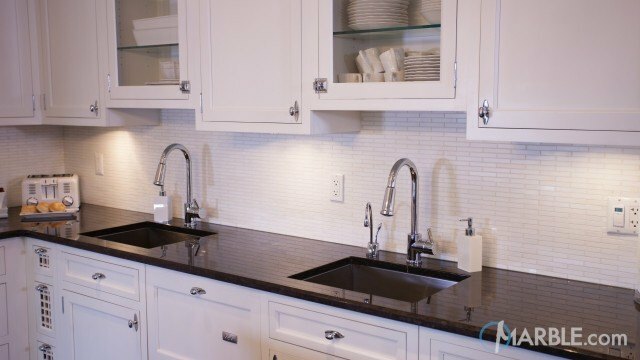 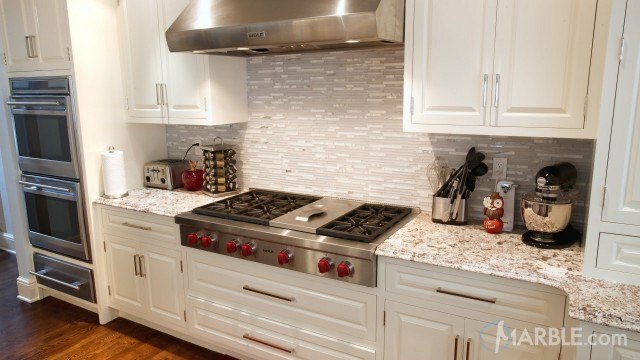 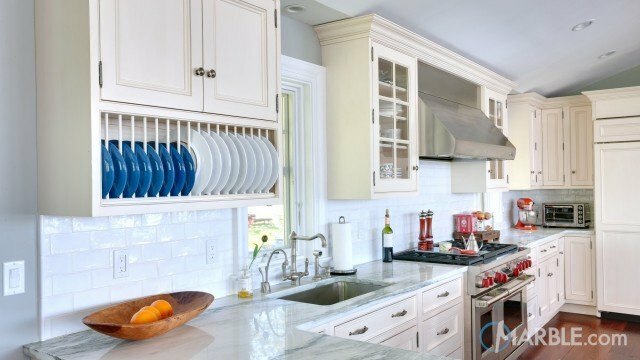 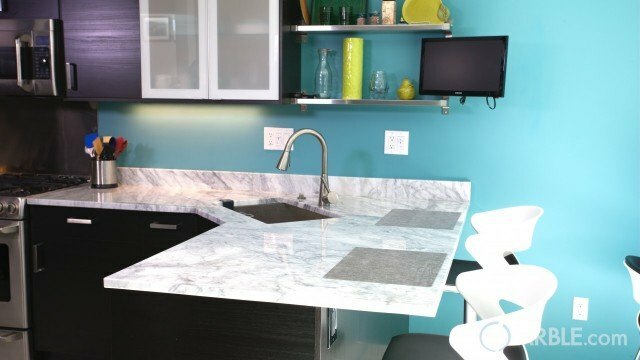 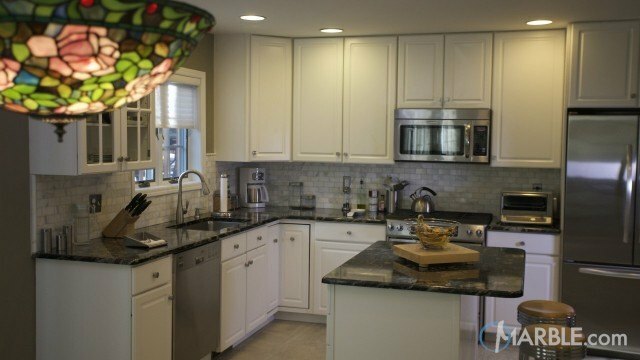 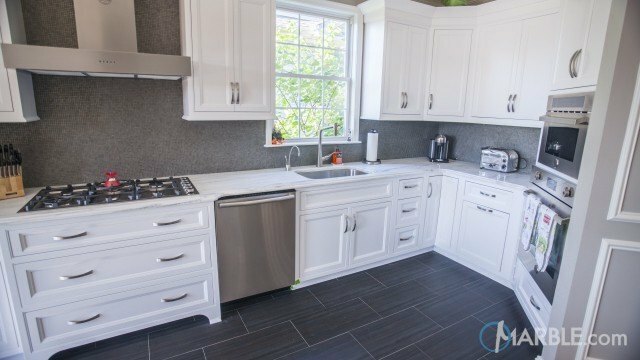 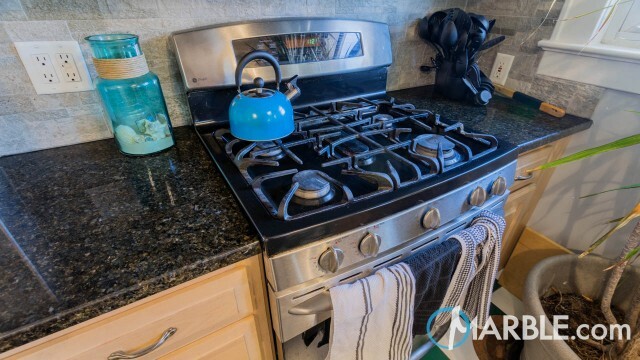 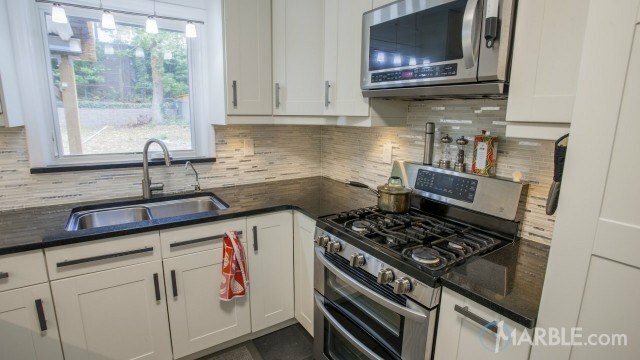 A large kitchen window provides plenty of light and the back splash with contrasting tile accentuates the counter tops.